Thanks to Samantha’s Family & Friends who had organized a Christmas Party for 80 underprivileged children at our brand new premises – the Children Activity Centre. It’s indeed a great encouragement to all children to kick start their new year! 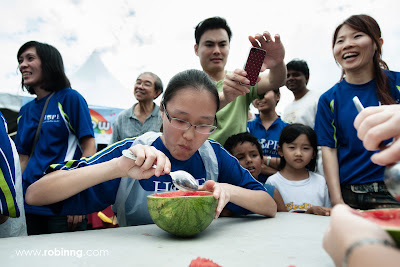 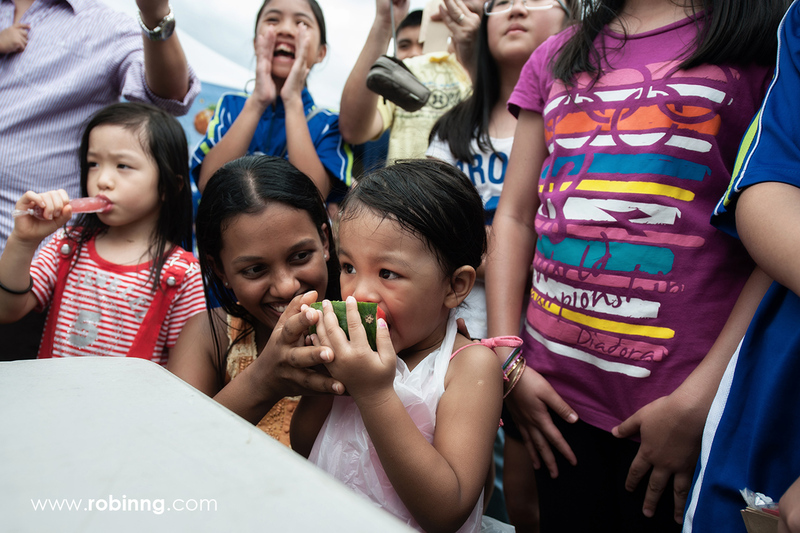 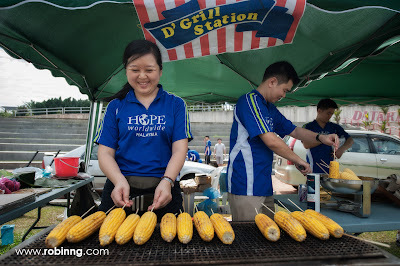 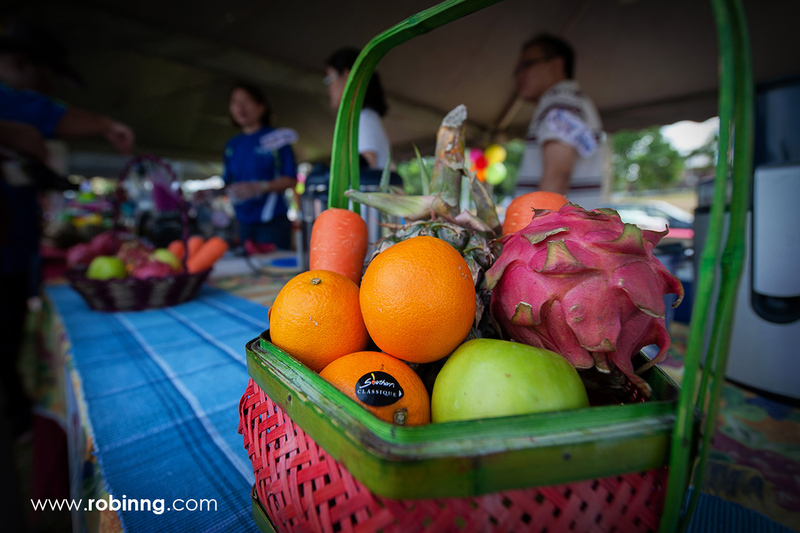 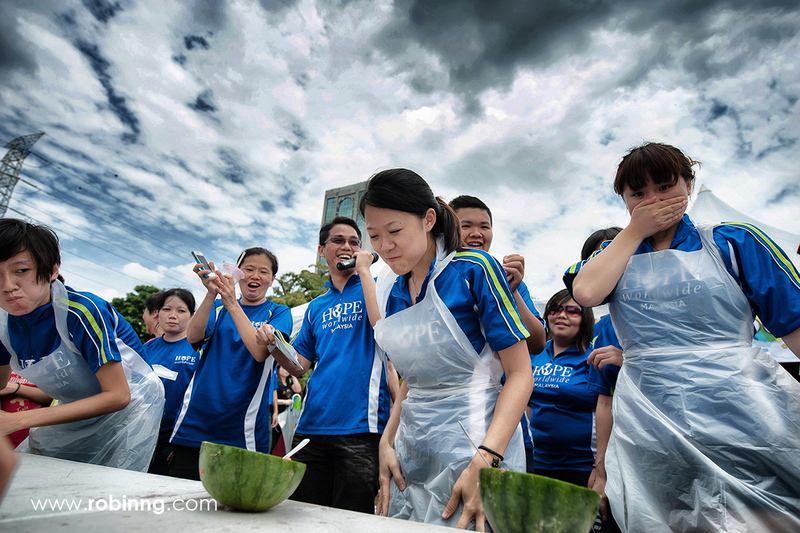 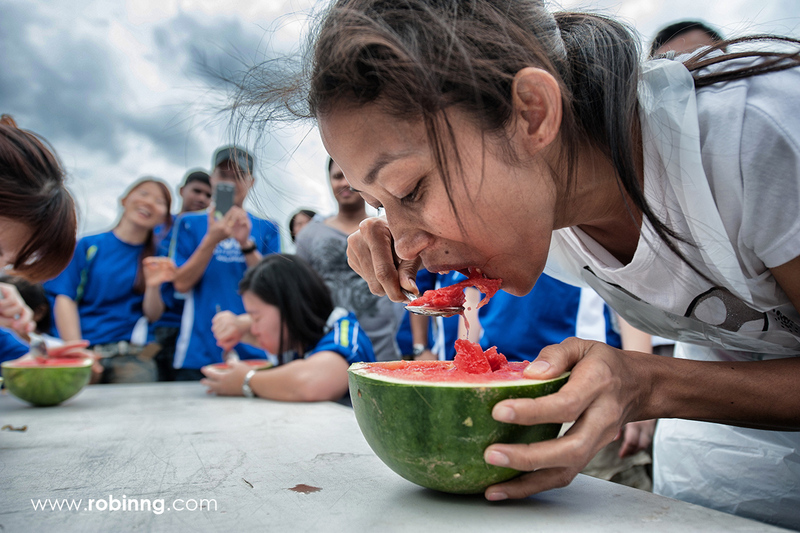 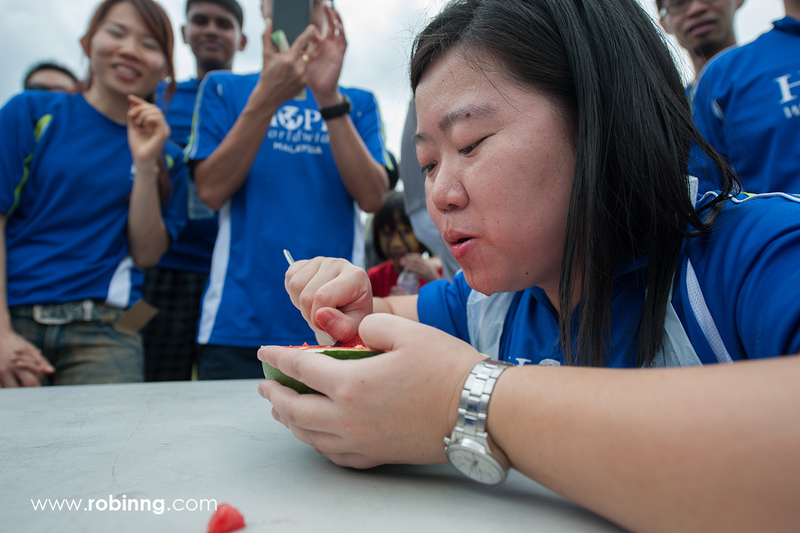 We were so excited to have the newly crown Miss Universe Malaysia 2013, the beautiful & elegant Ms. Carey Ng volunteering in the Food Distribution Program at our Free Clinic in Sentul! 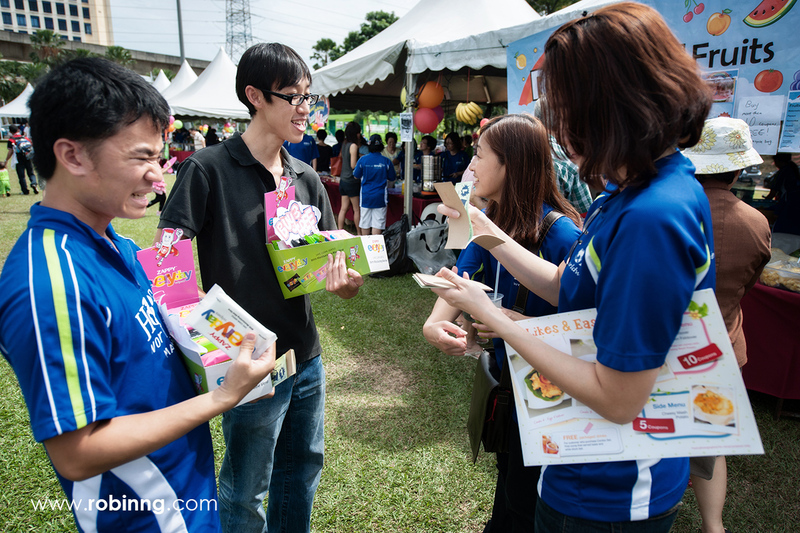 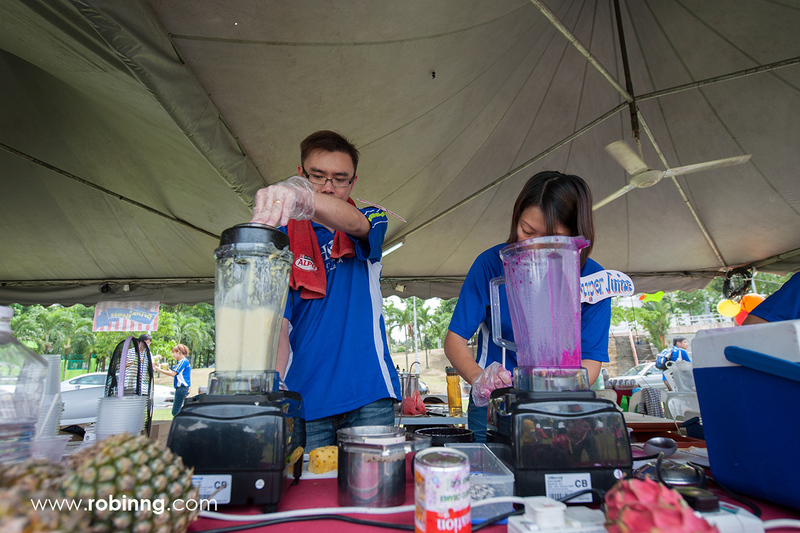 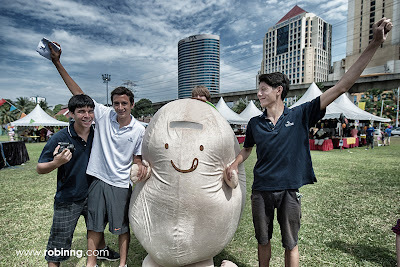 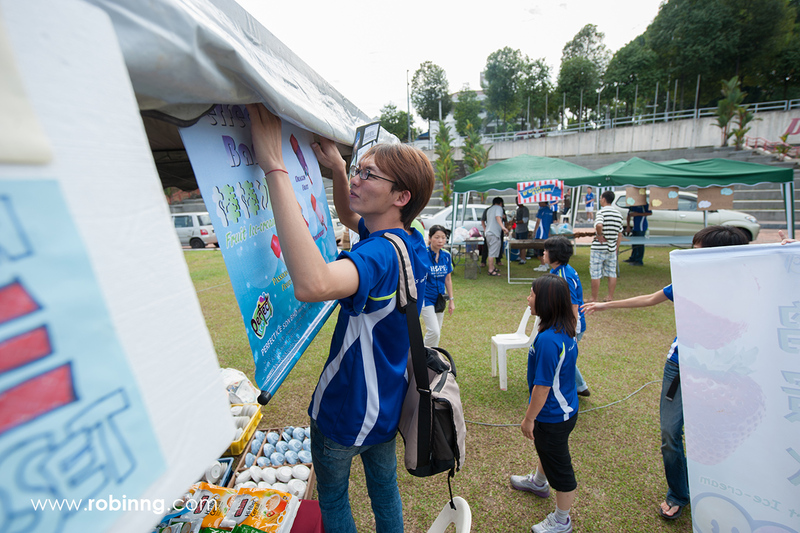 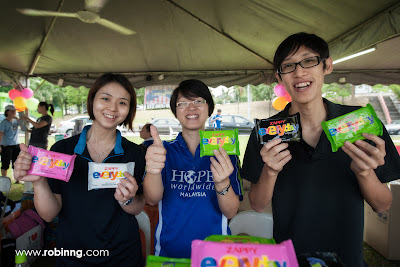 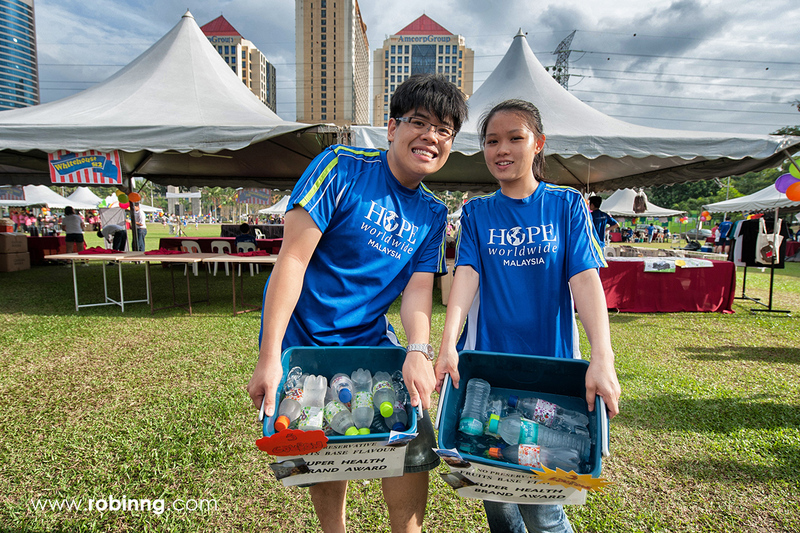 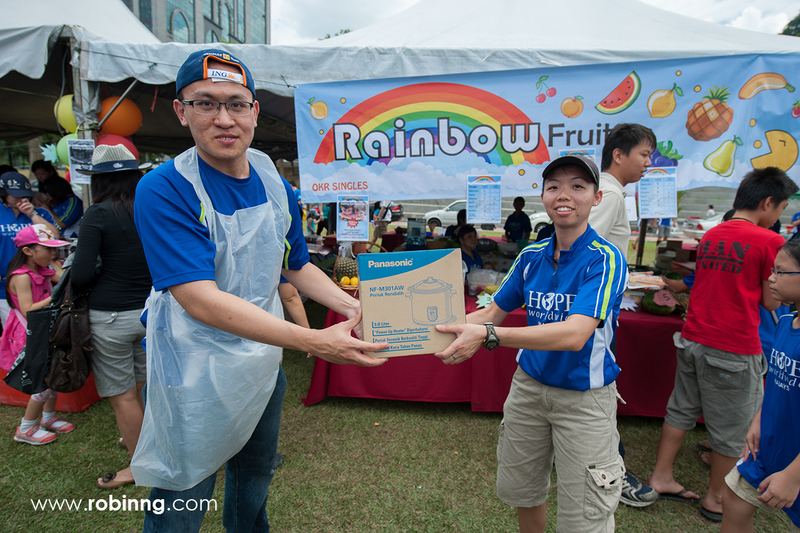 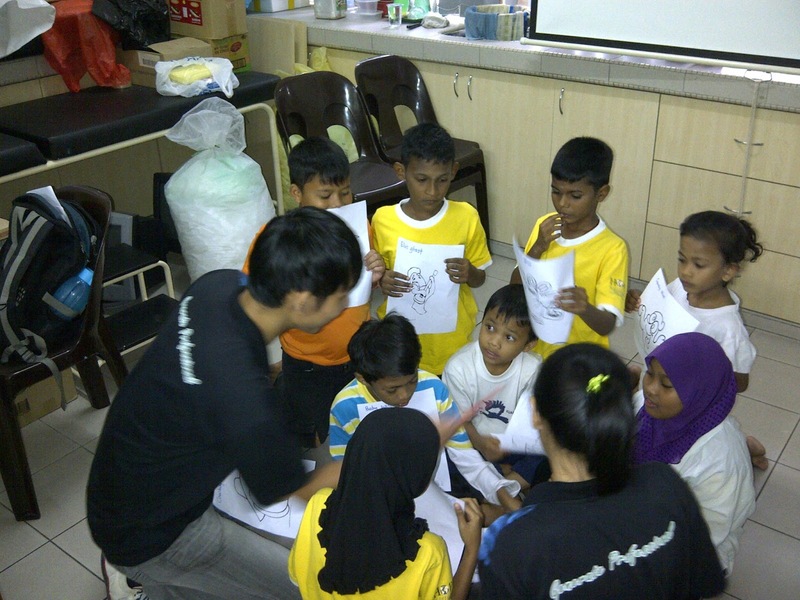 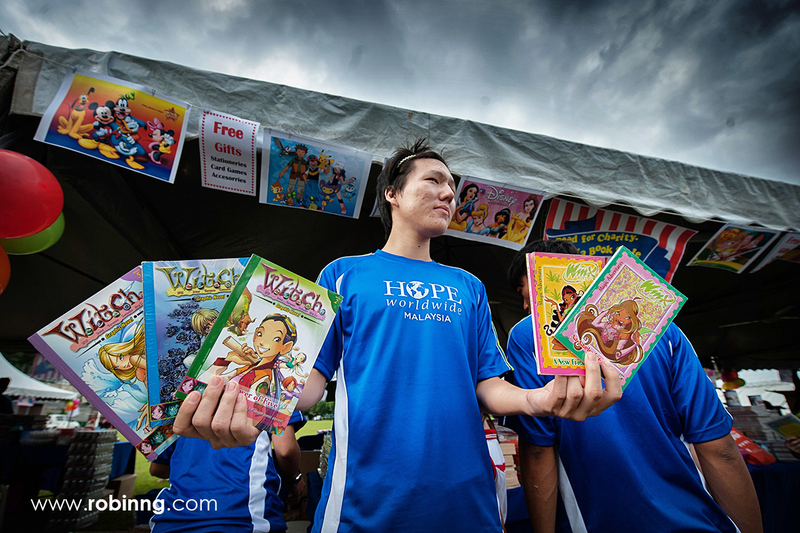 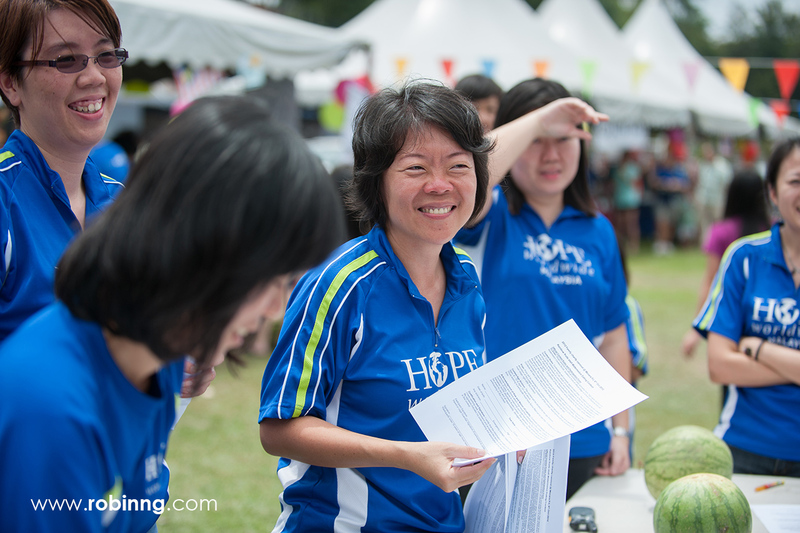 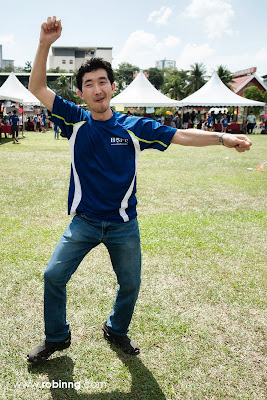 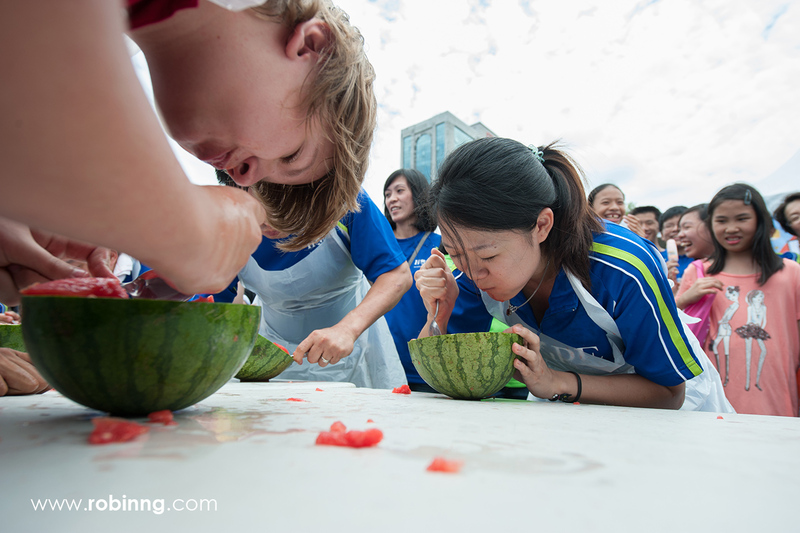 Besides, we have four volunteers who are the trainees from Asia Works, were here joining the volunteerism works too! 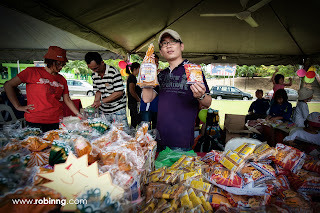 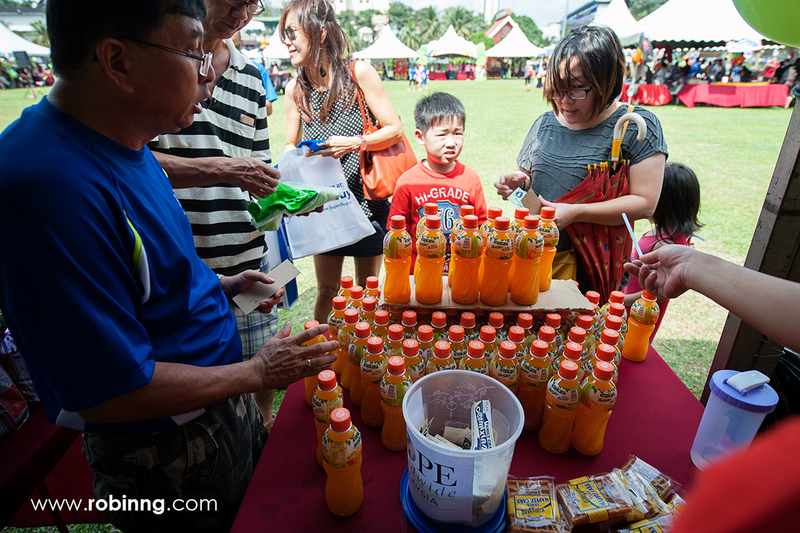 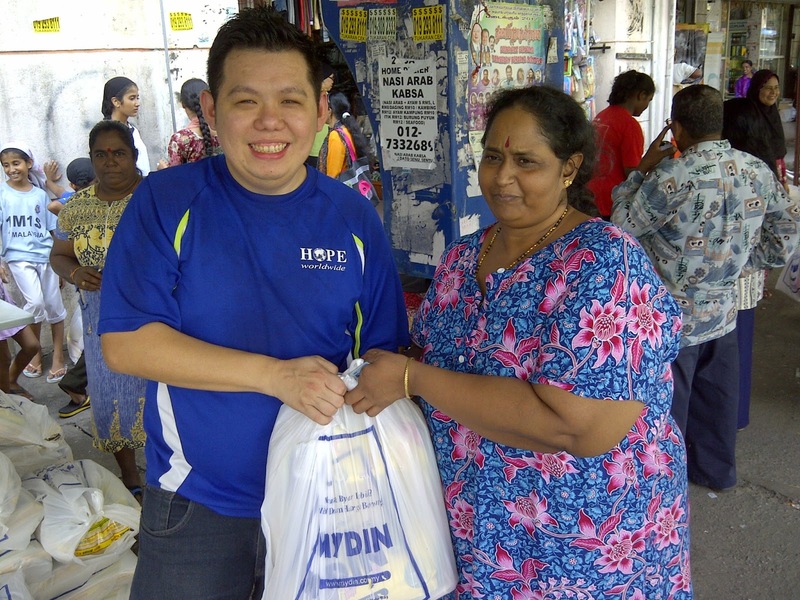 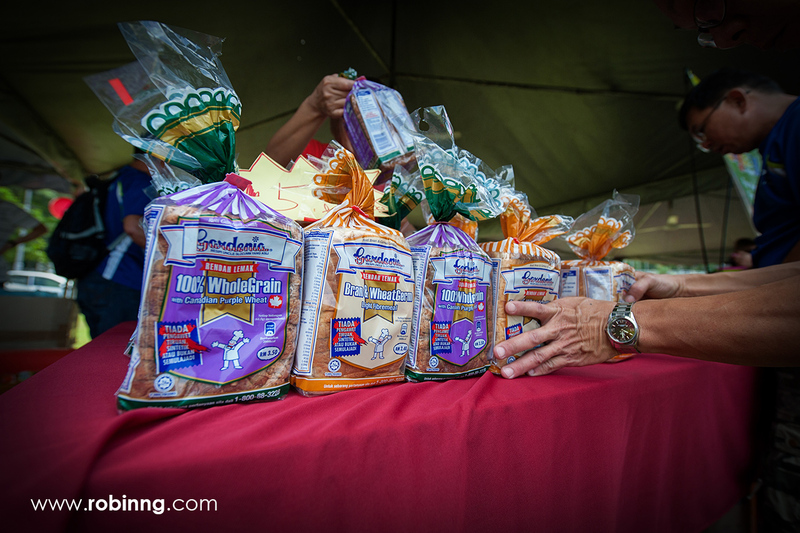 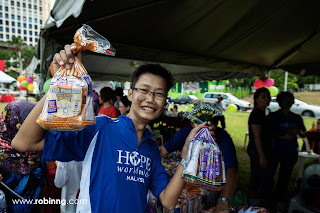 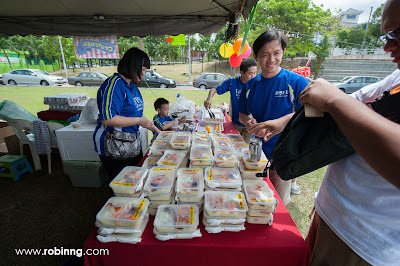 That day, we all standing under the hot sun, distributing rice & groceries to more than 100 underprivileged families. 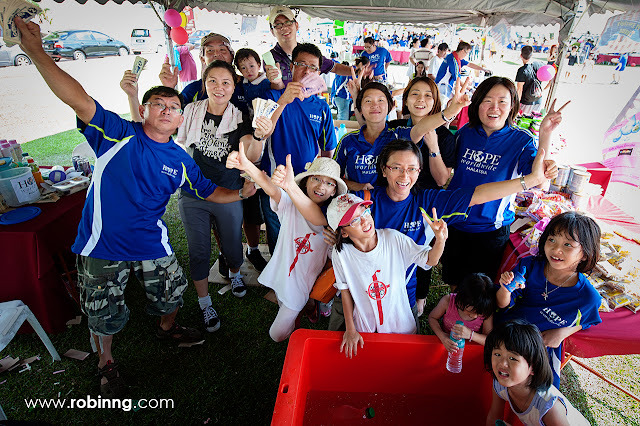 It was a great experience and we wanna personally thank all the volunteers who made your time there to reach out to the poor & needy. And we wanna specially appreciate Carey who were here with us, thank you so much and we look forward to have you and your friends here again with us! 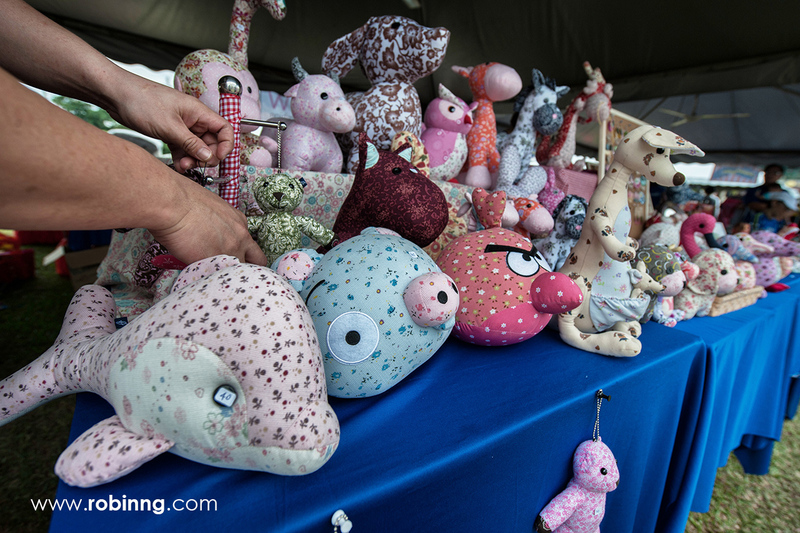 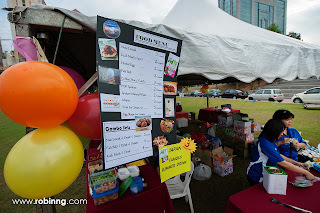 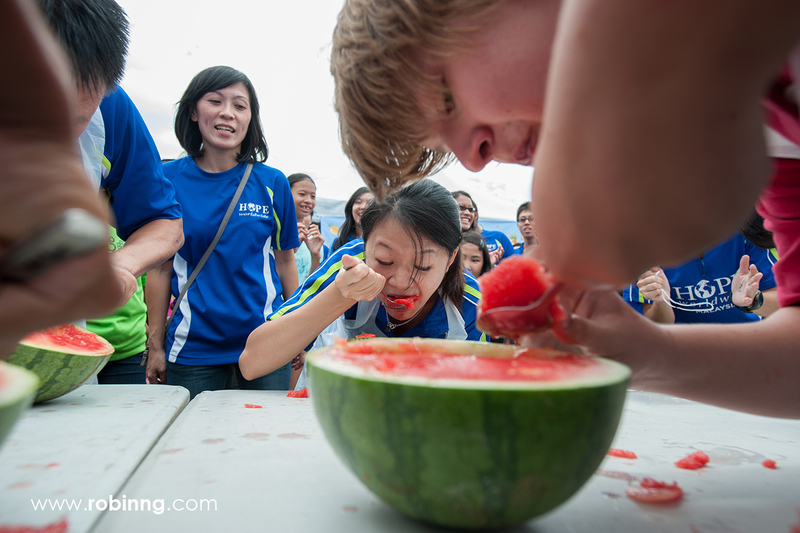 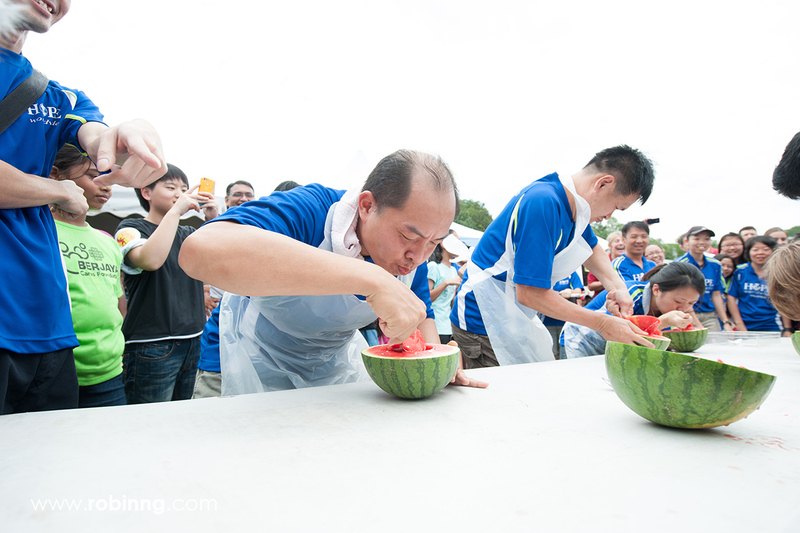 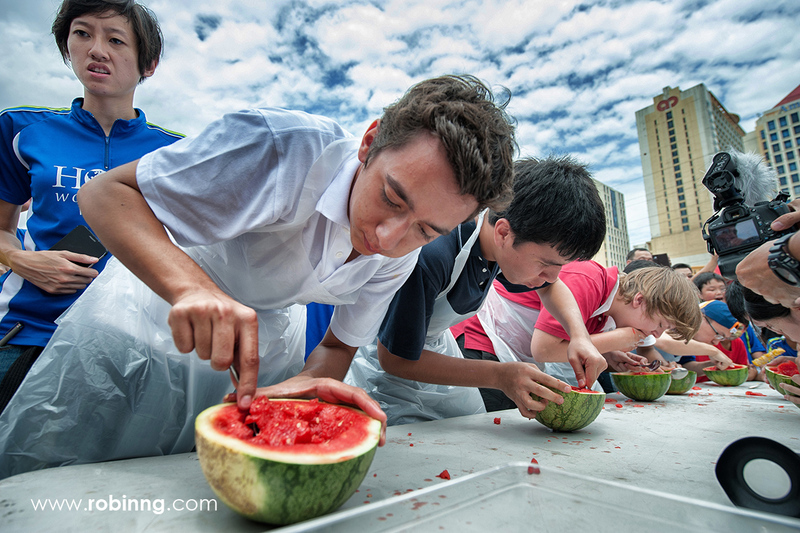 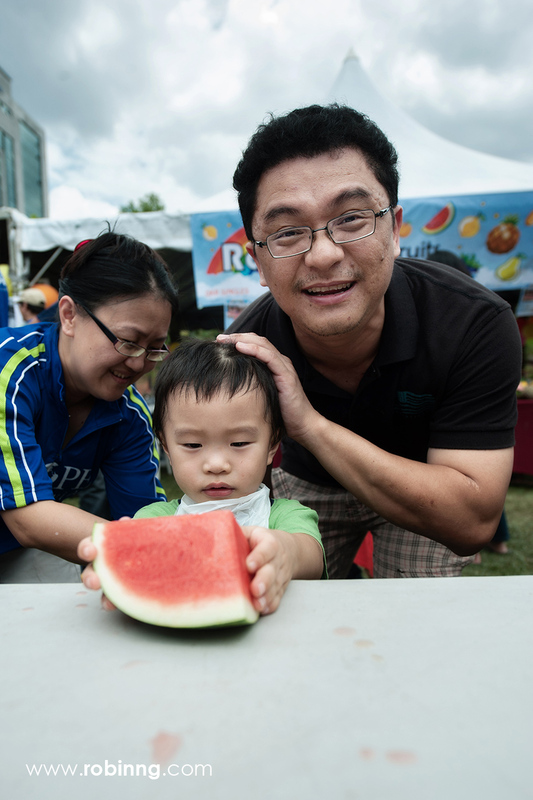 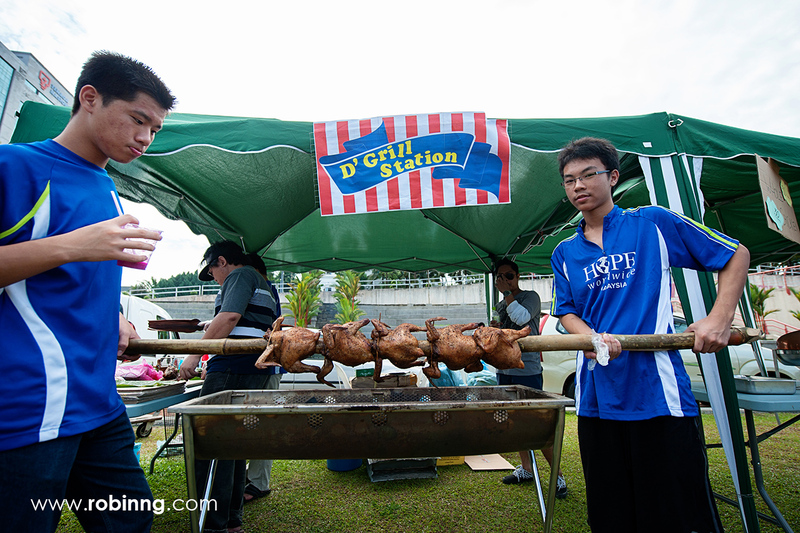 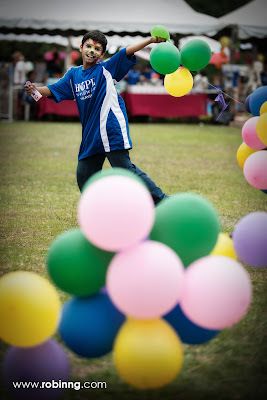 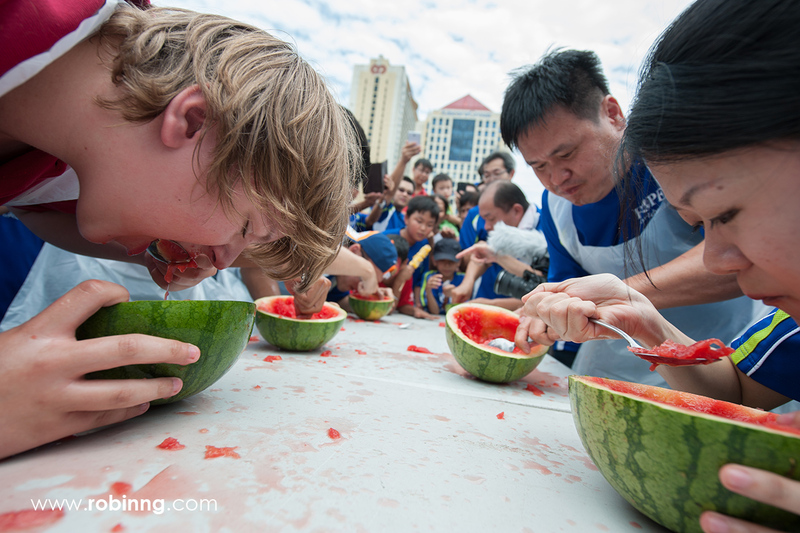 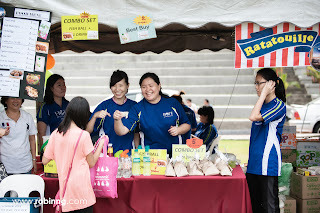 Check out our pictures of the event! 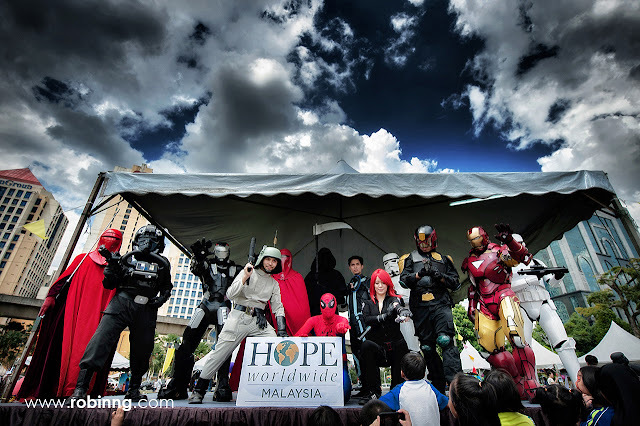 Thanks to Starbucks Malaysia for inviting the volunteers of HOPE worldwide to attend Starbucks Anniversary and Christmas Celebration at Tropicana City Mall. The volunteers thoughtfully performed a Christmas Carol flashmob to surprise the crowd and it was truly remarkable! 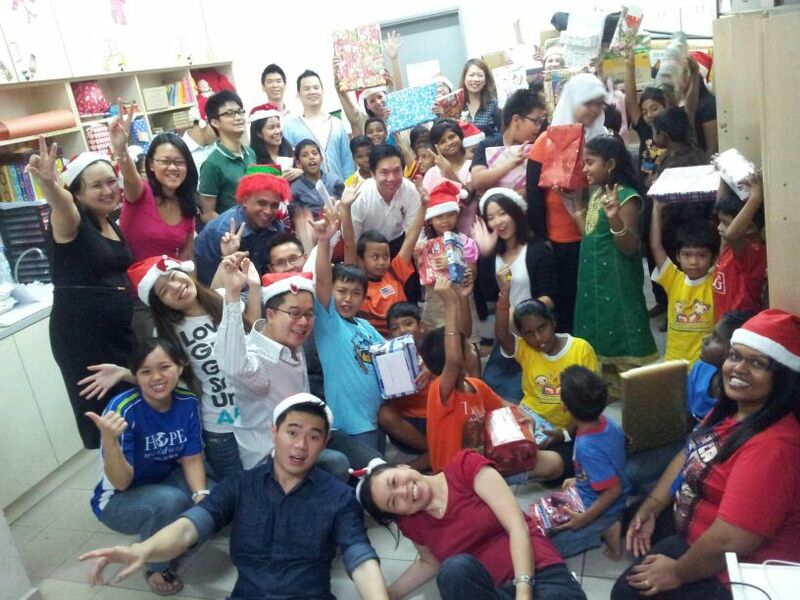 Thanks to fellow volunteers from Citibank took this initiative in organizing this Christmas Party to reach out to 30 underprivileged children at Sentul Free Clinic. 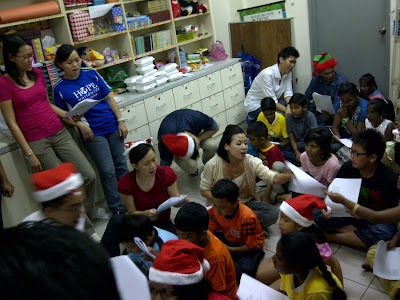 They had a great time singing carols and playing games together. 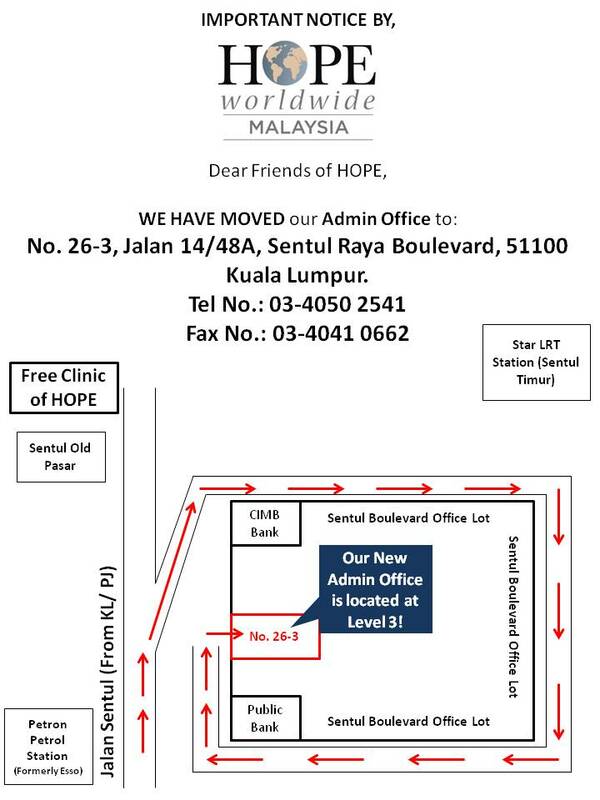 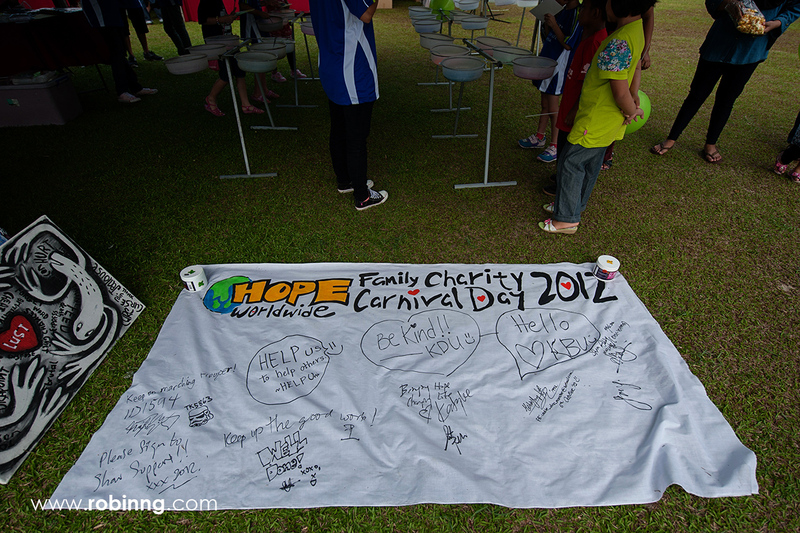 Special thanks to Berjaya Cares Foundation for providing the premises for the use of HOPE worldwide's operations and thanks to Innovar Floor as the sponsor for laminated timber flooring. 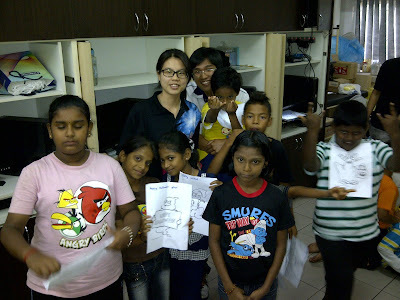 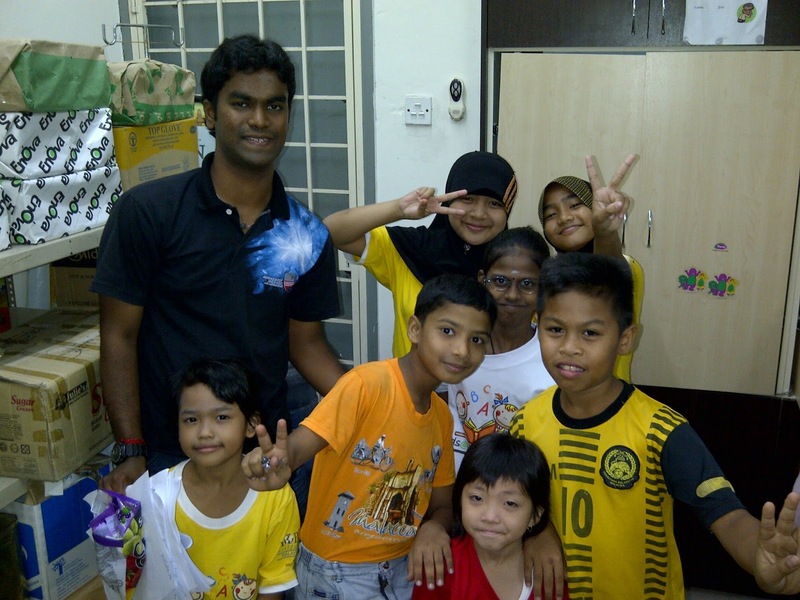 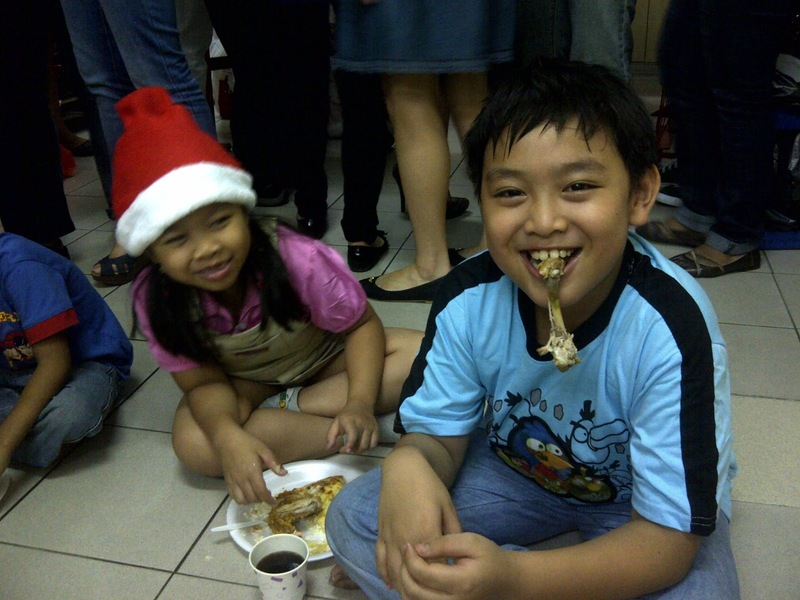 Thanks to CIMB Aviva for organizing a Christmas Party for 25 students at the Cooking House. 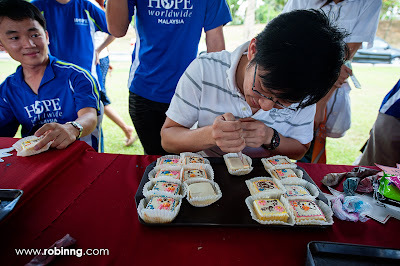 The staff from CIMB Aviva together with the students had a great timebaking the Gingerbread House. 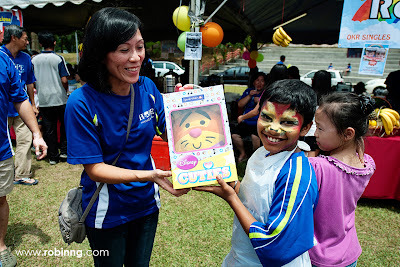 At the end of the party, we had a simple award presentation to the 12 winners of the Creative+ Drawing Competition in which they received cash prizes sponsored by CIMB Aviva and their masterpieces will be featured in CIMB Aviva's 2013 Table Calender. Thanks to IUMC Malaysia for your sponsorship in this great cause which had benefited 100 underprivileged students aged 7 to 17! 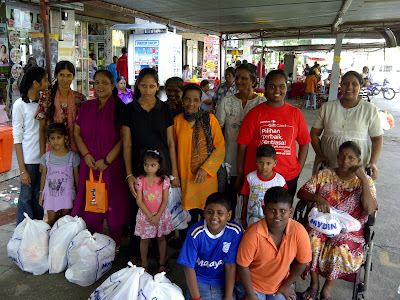 Thanks to St. Patrick Society for organizing the Christmas Party by buying the presents according to the children's wish list. 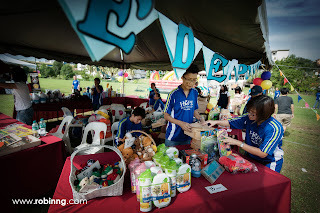 The children were thrilled with fun and it was really meaningful for them to have someone to grant their little wish for this Christmas Season! 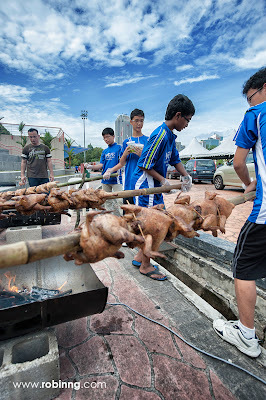 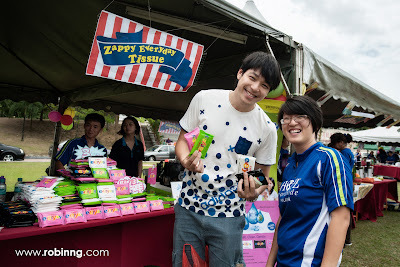 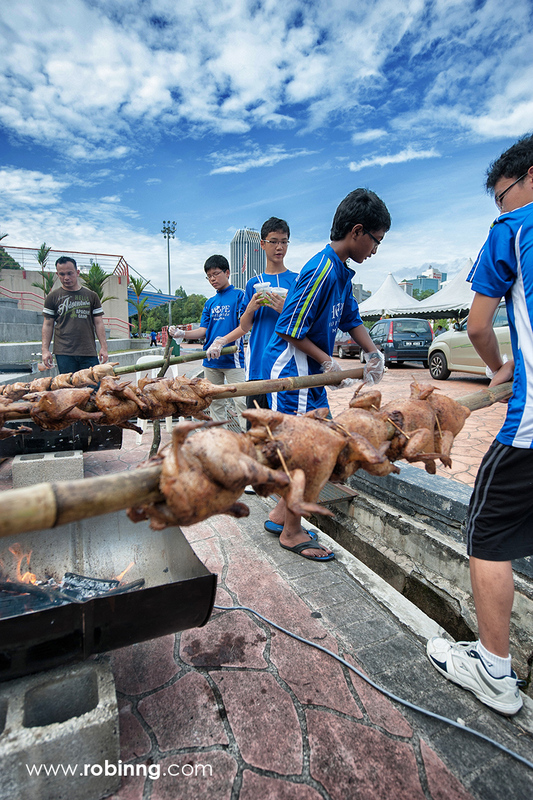 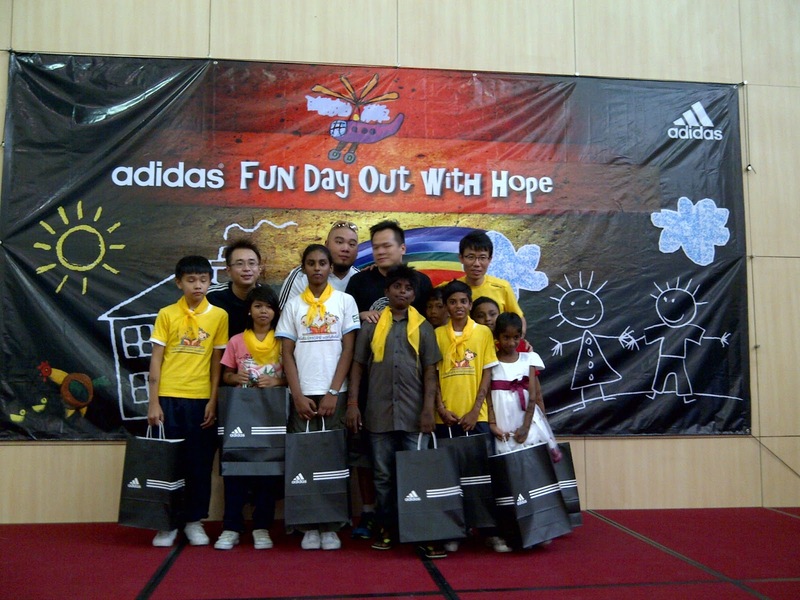 A Day Out with Adidas Malaysia! Thanks to Adidas for your thoughtfulness and effort in organizing the One-Day carnival for 80 underprivileged children!They had great memories and friendships with you guys. 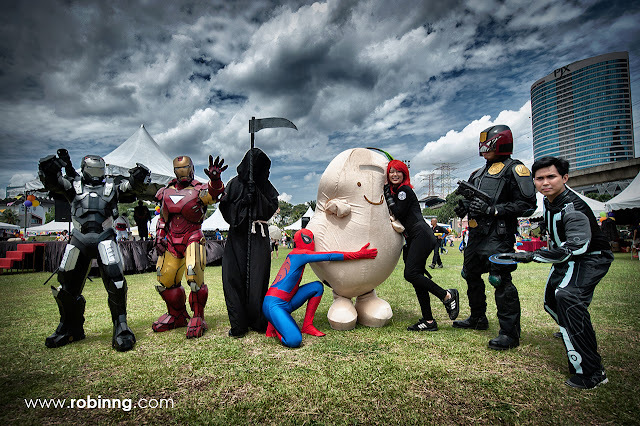 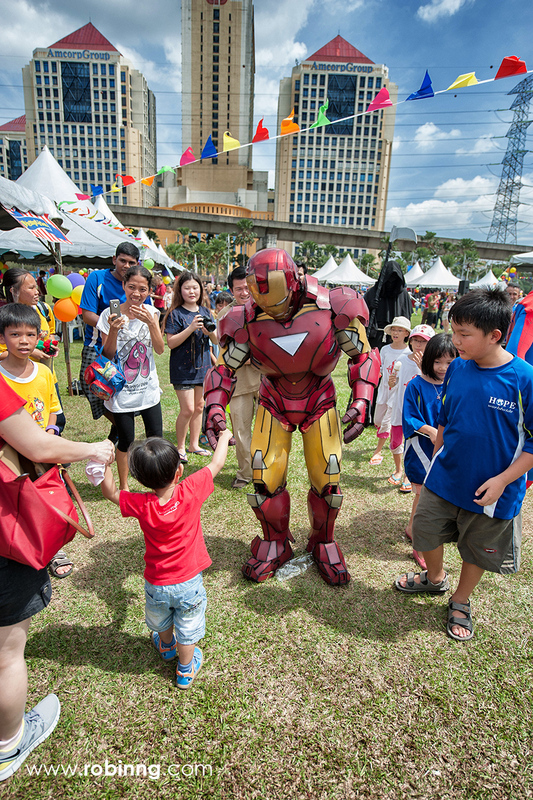 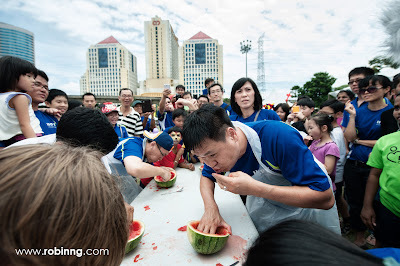 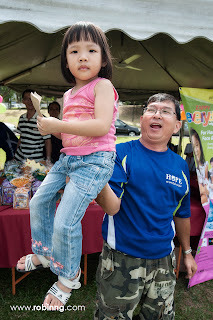 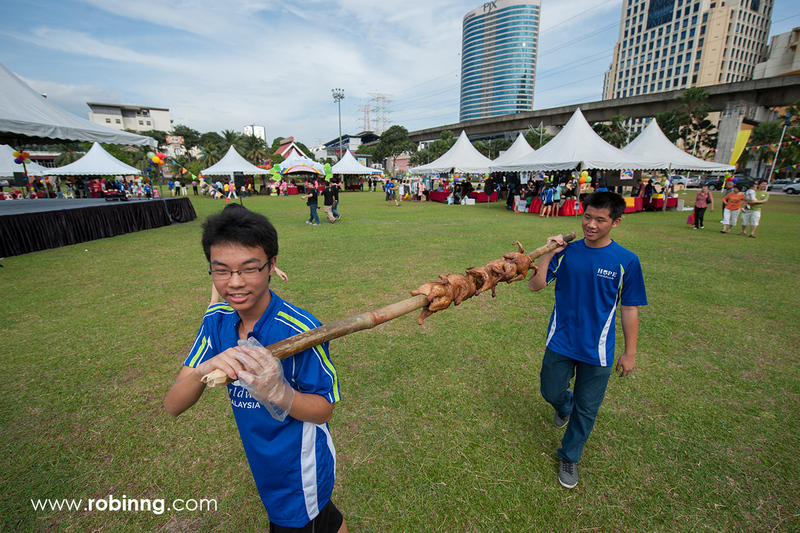 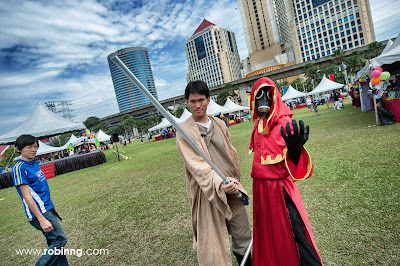 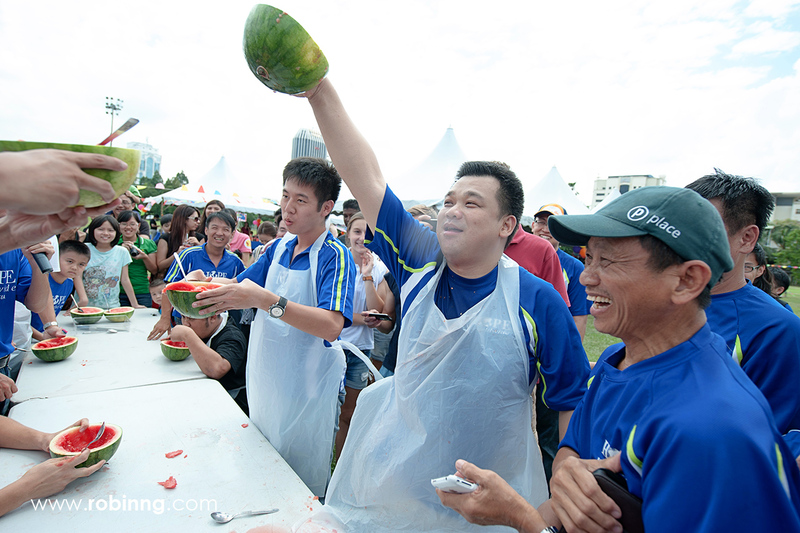 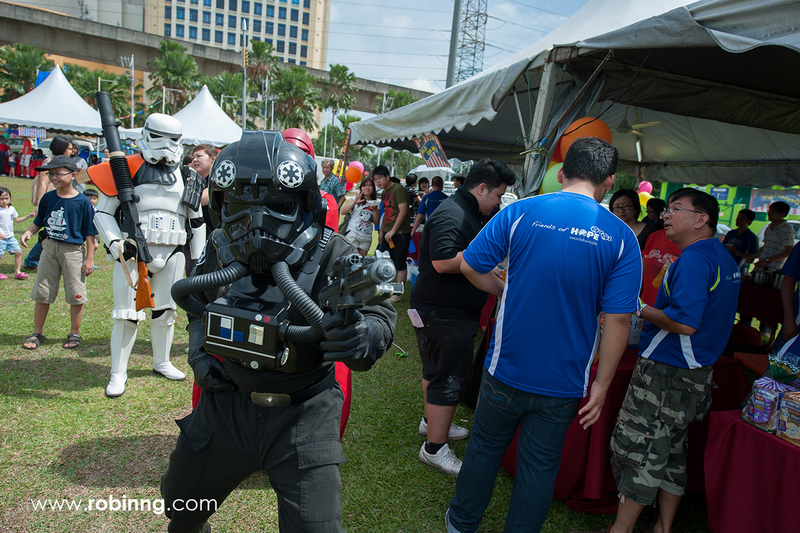 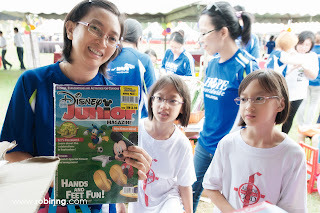 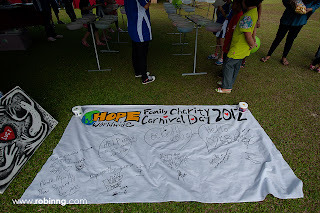 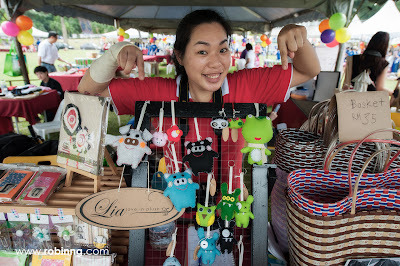 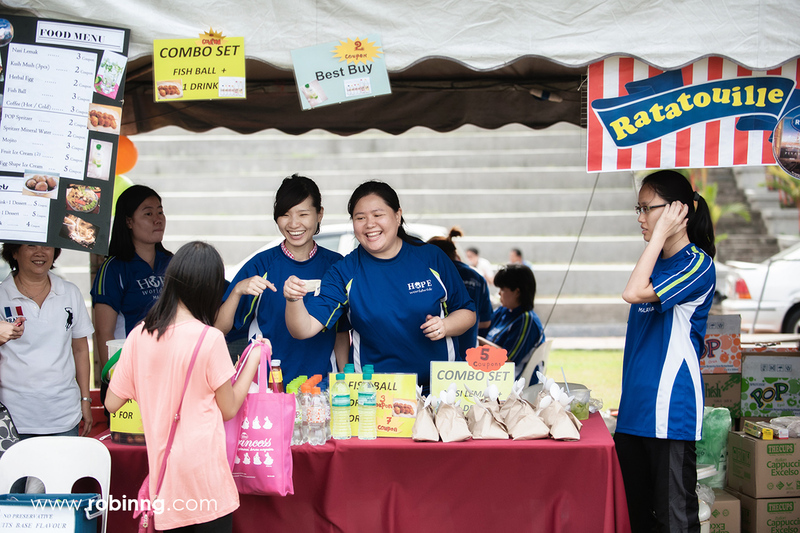 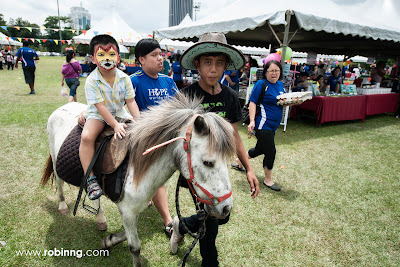 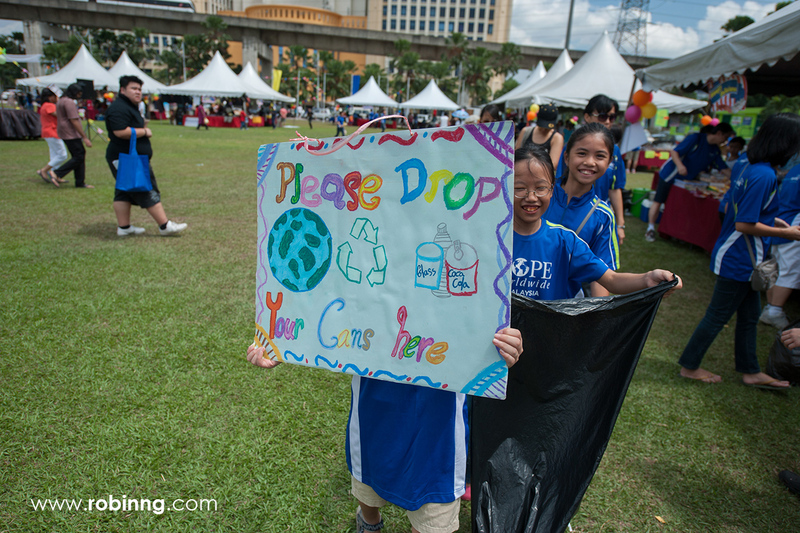 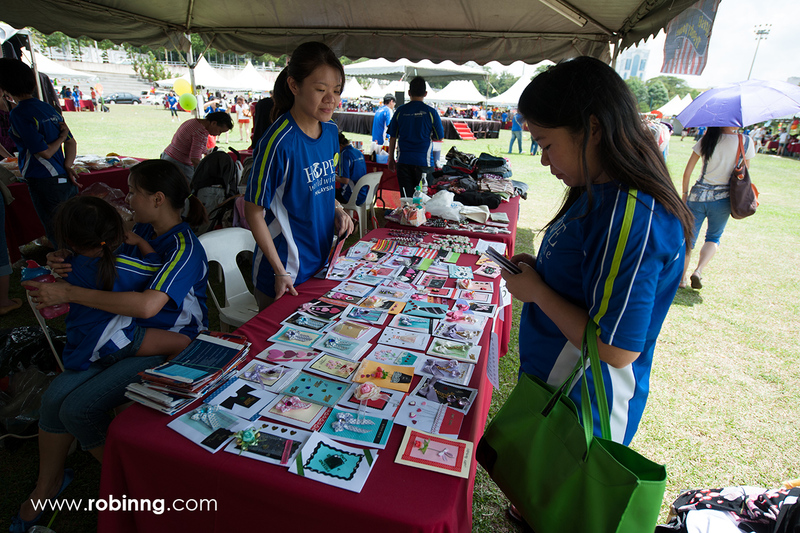 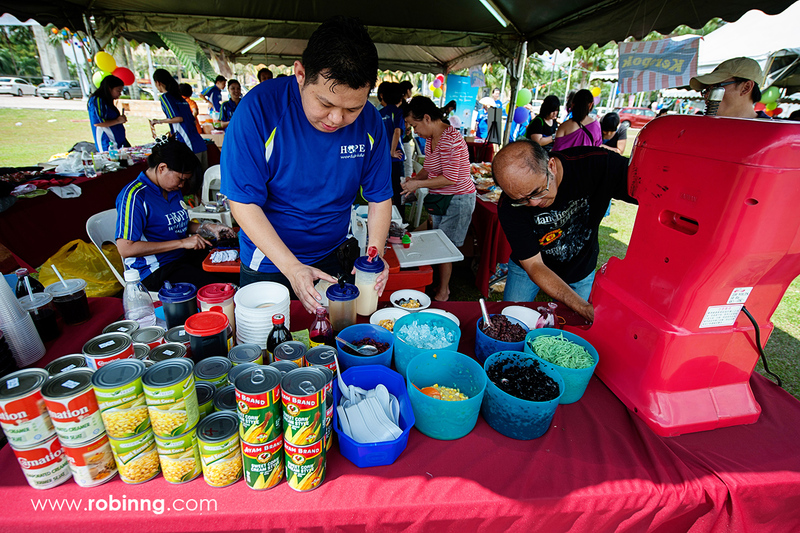 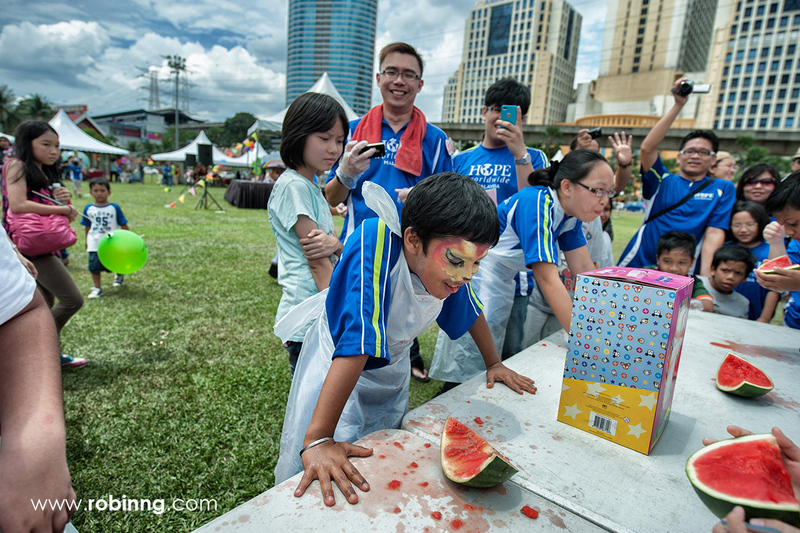 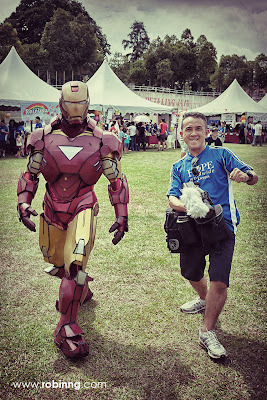 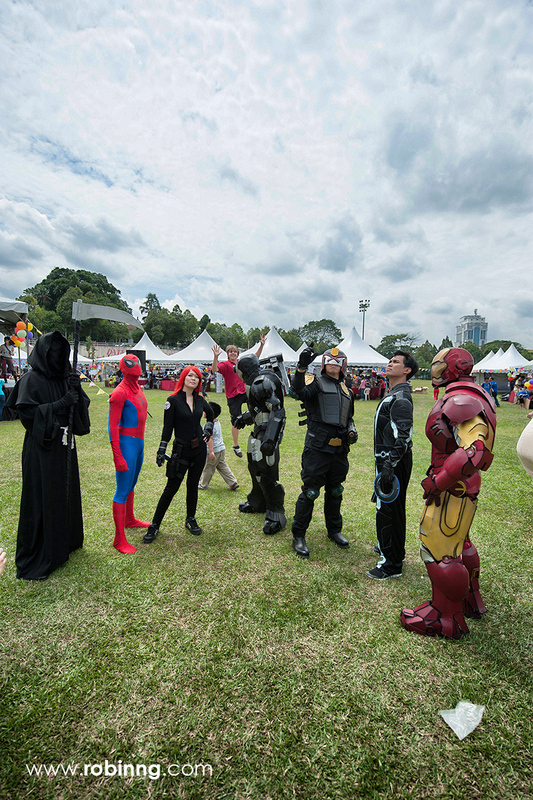 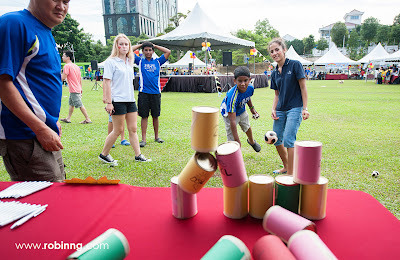 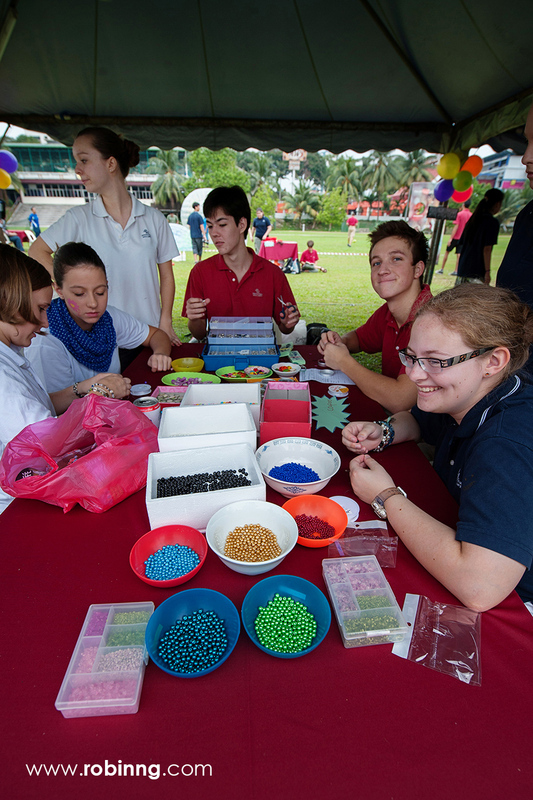 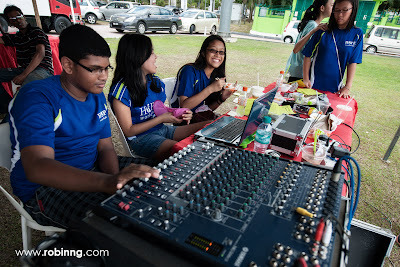 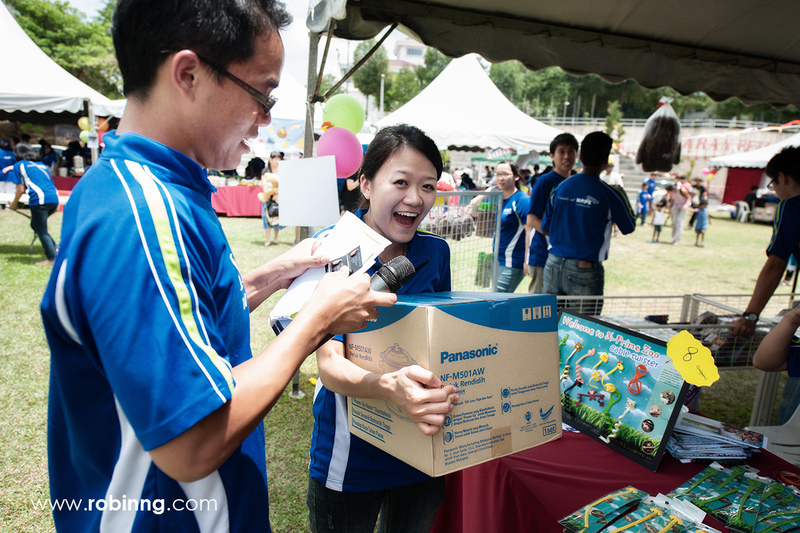 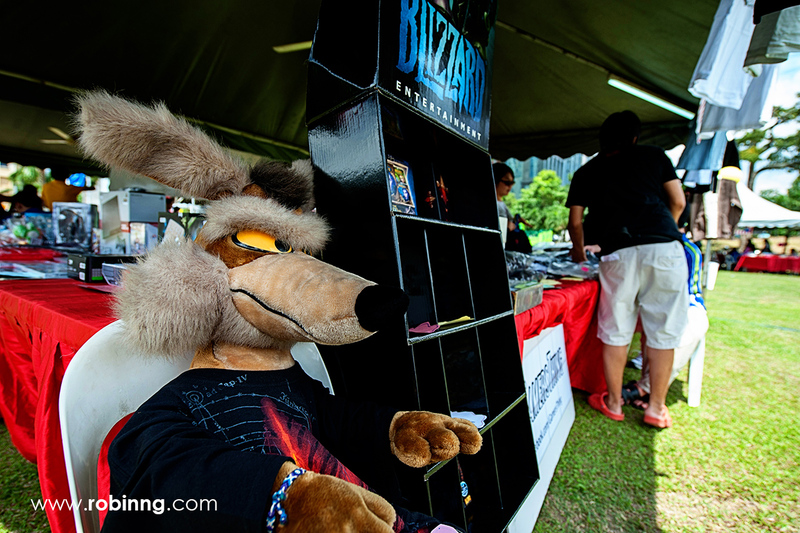 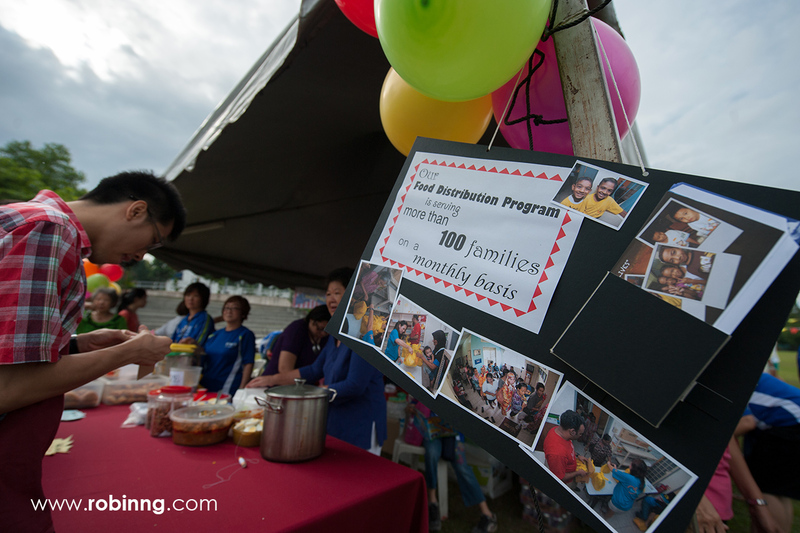 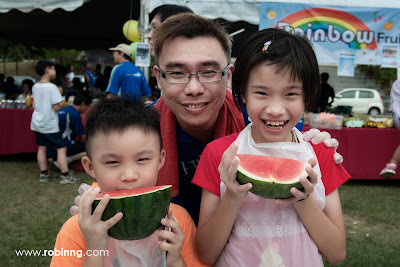 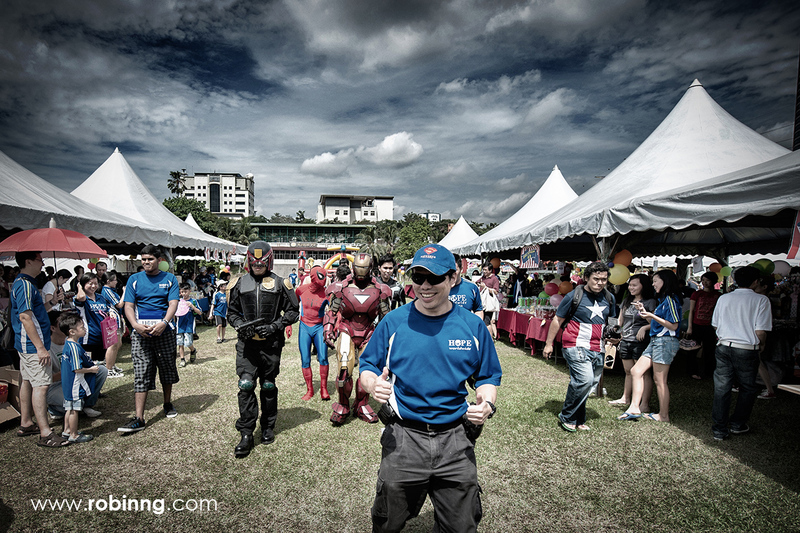 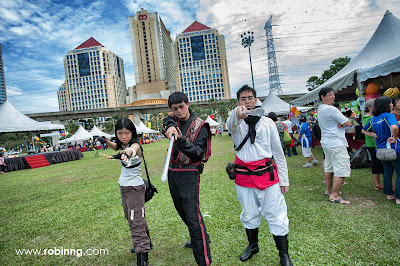 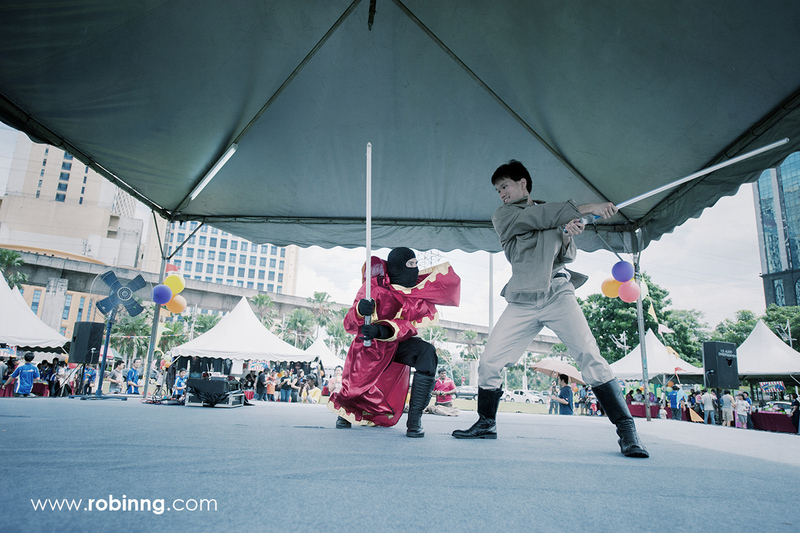 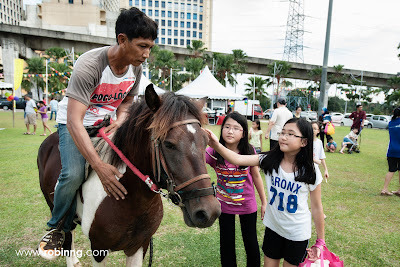 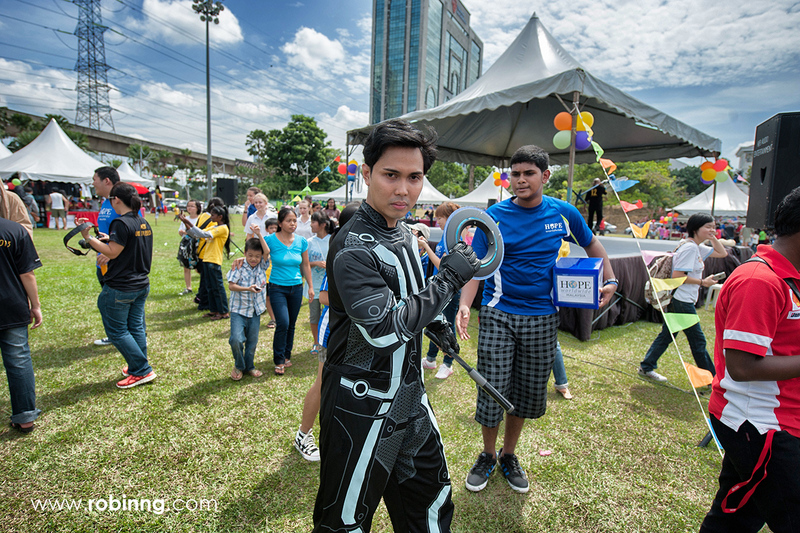 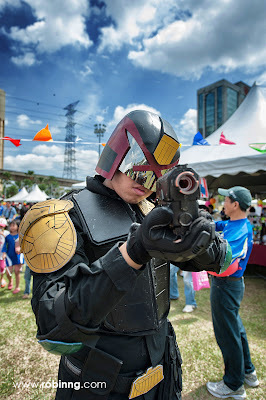 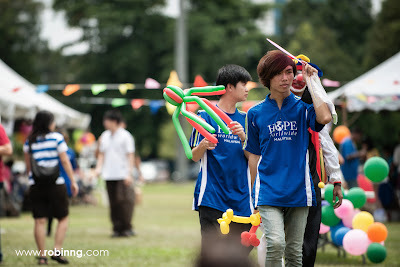 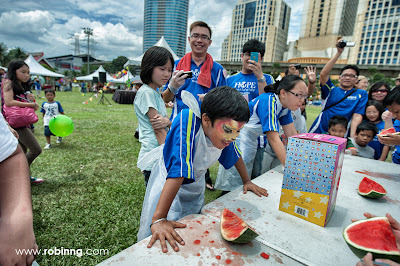 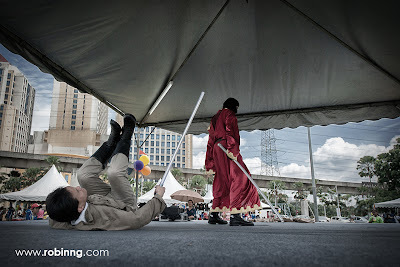 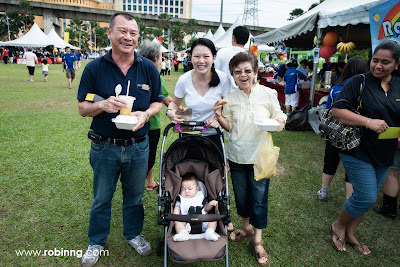 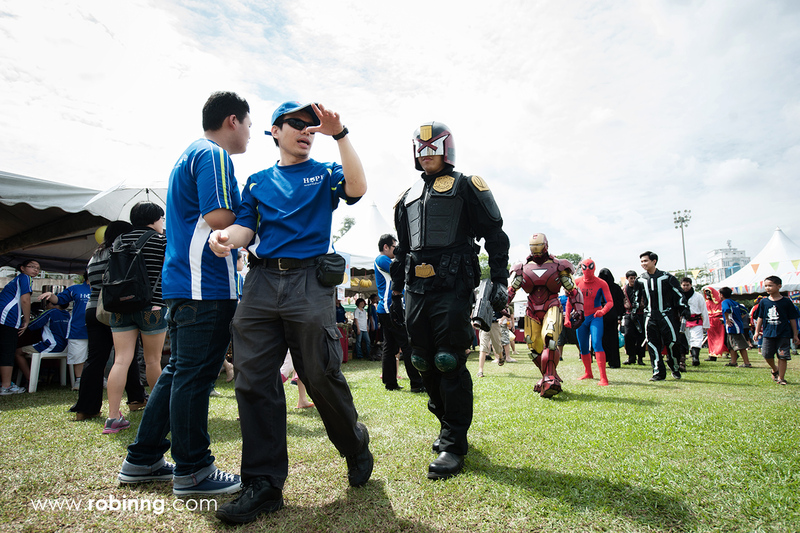 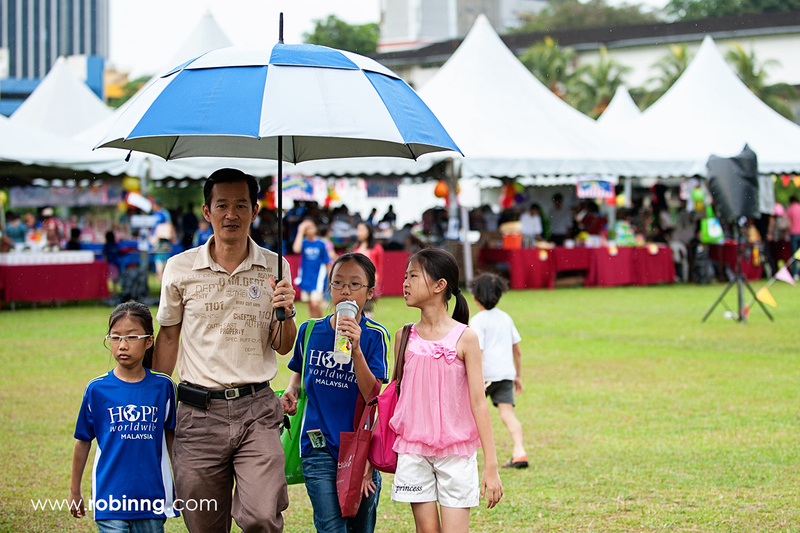 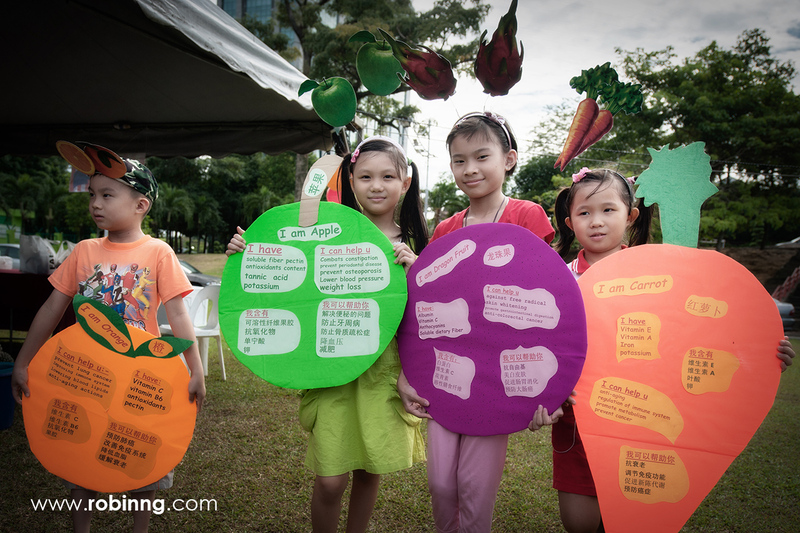 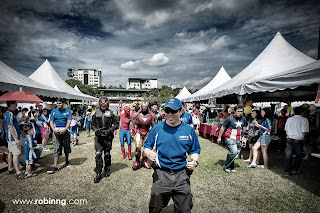 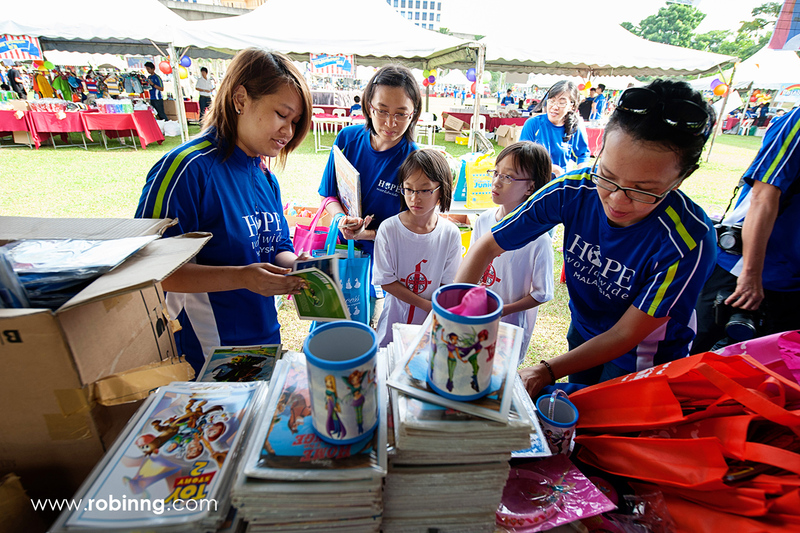 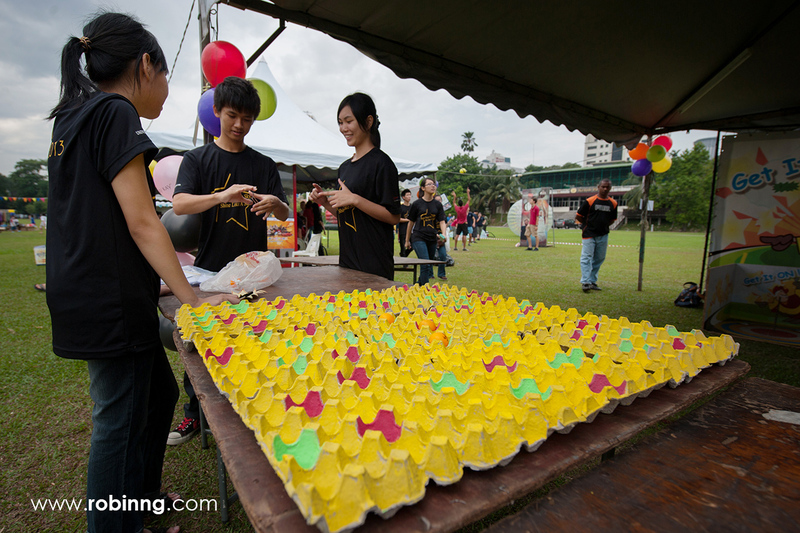 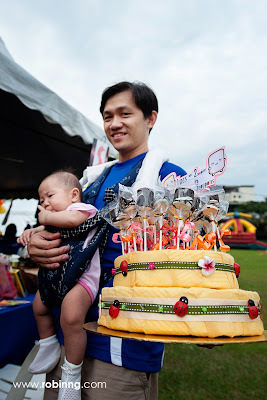 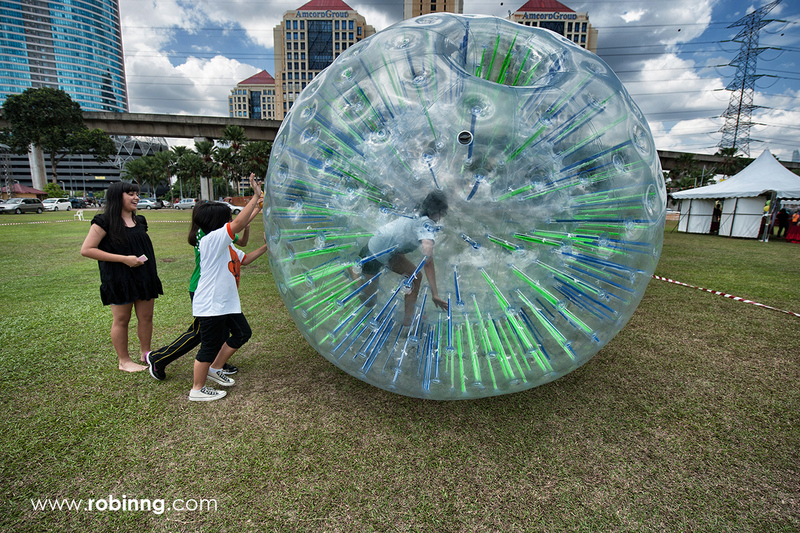 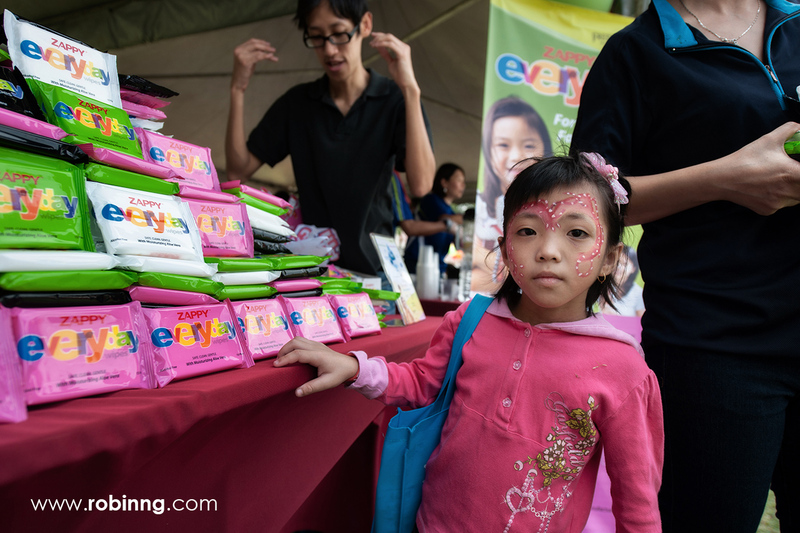 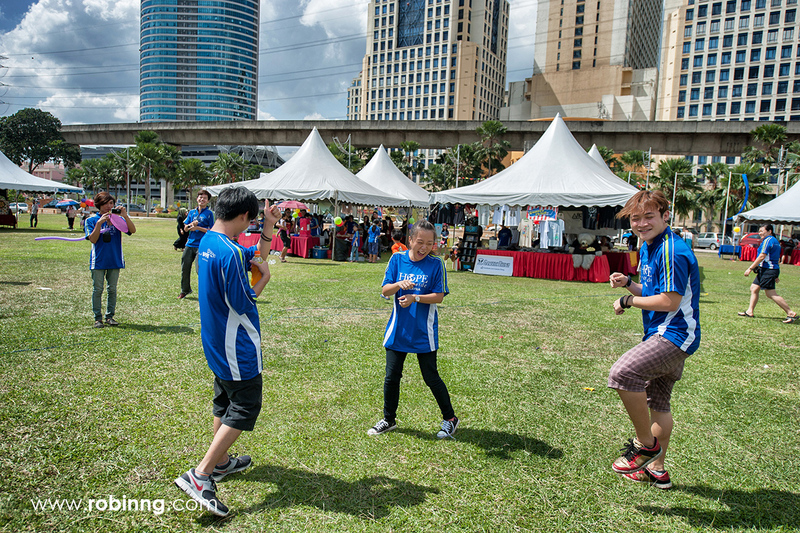 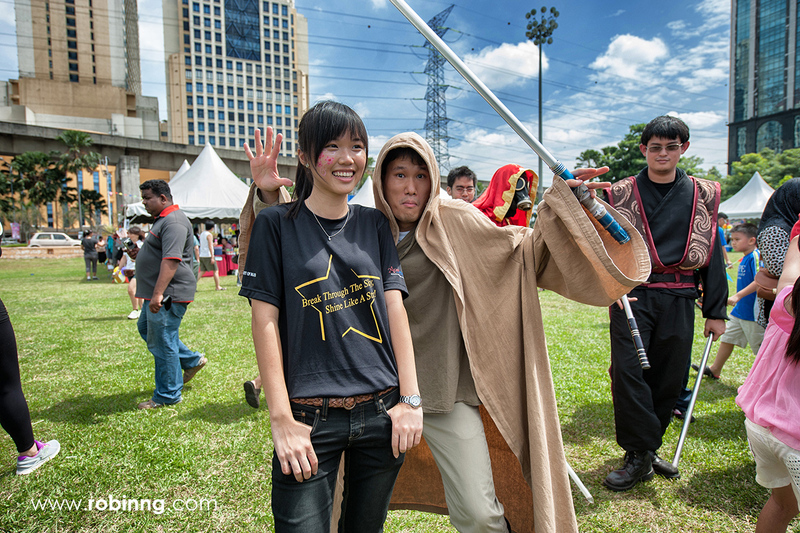 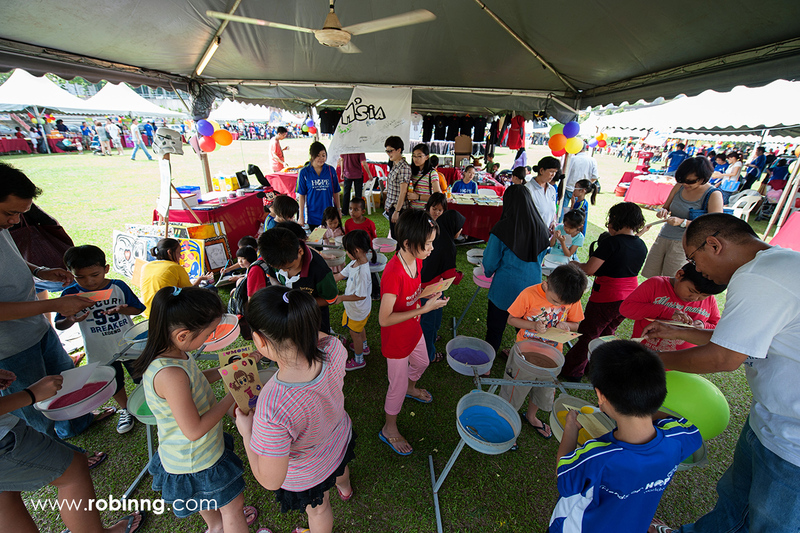 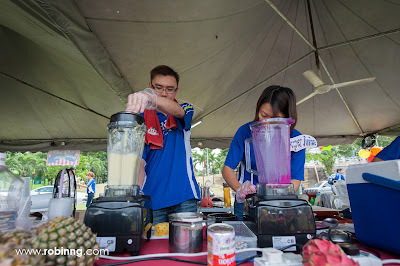 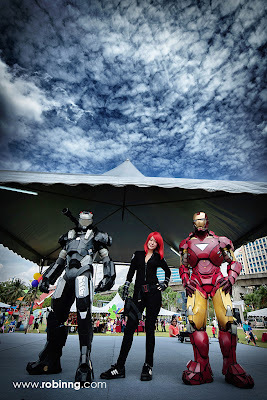 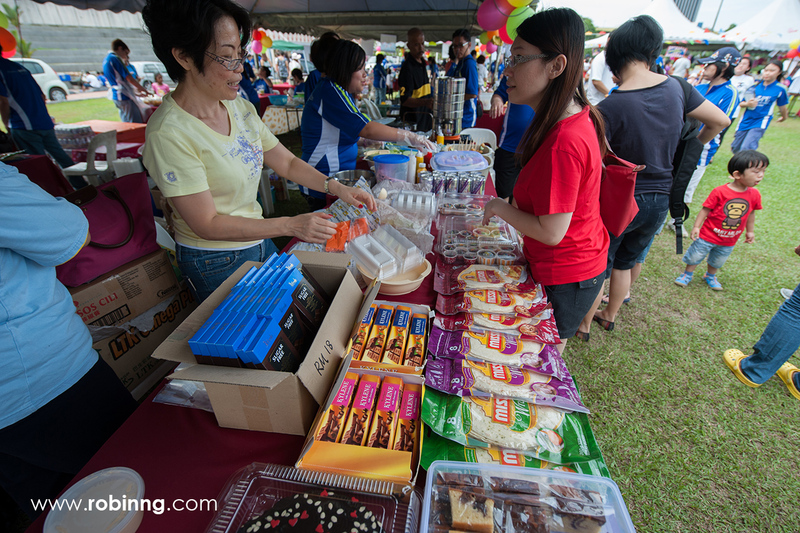 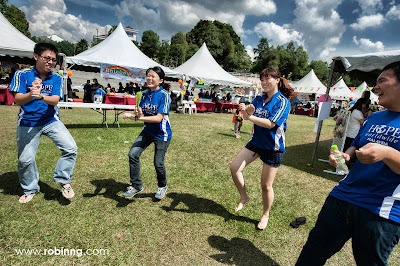 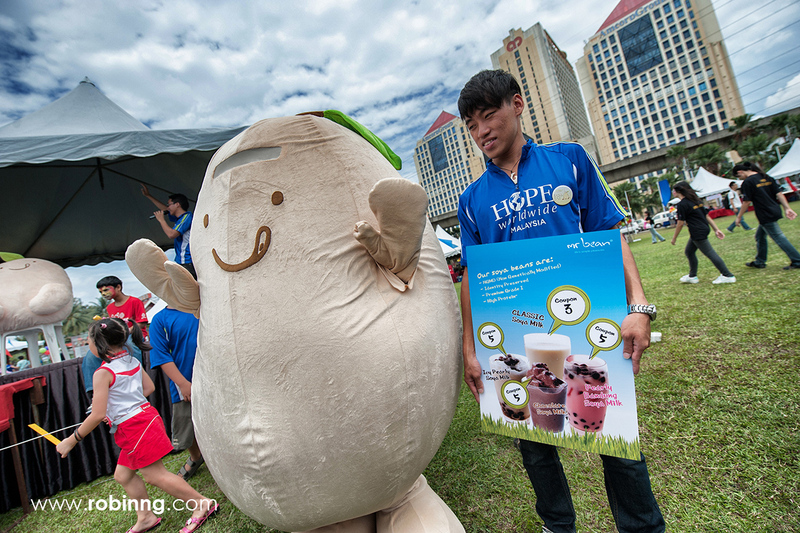 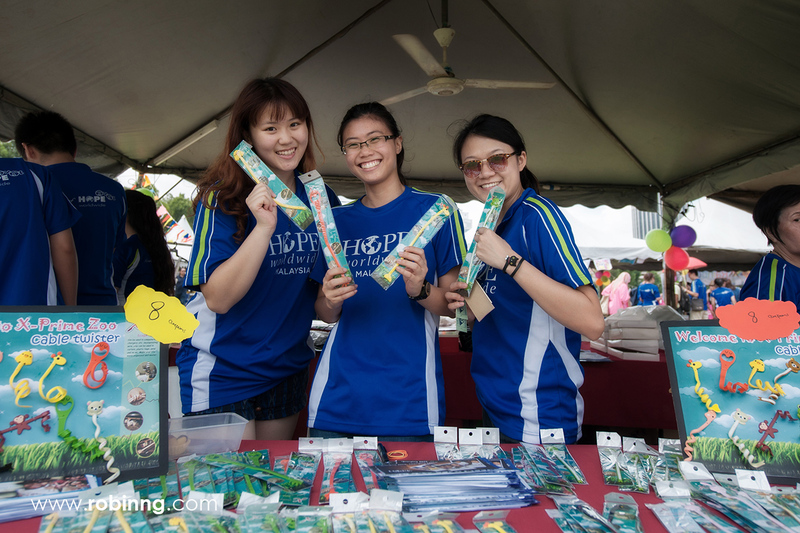 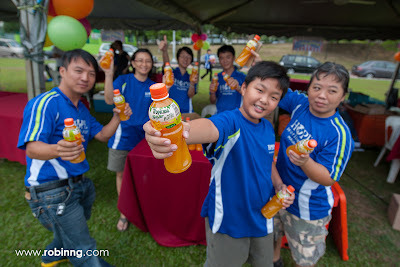 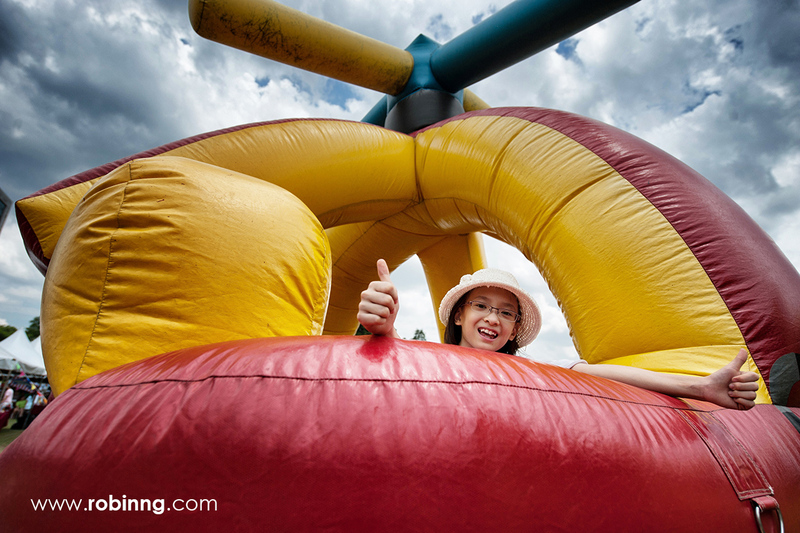 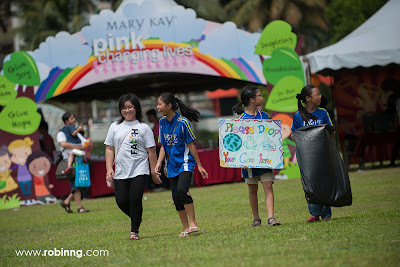 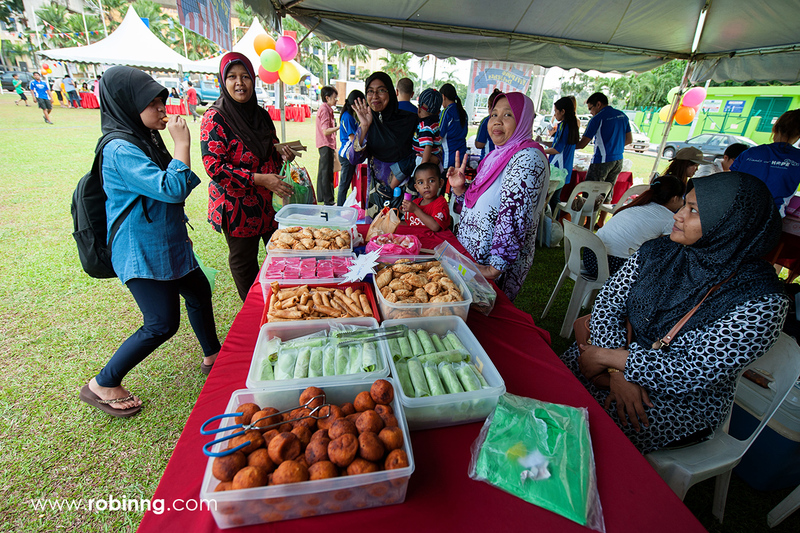 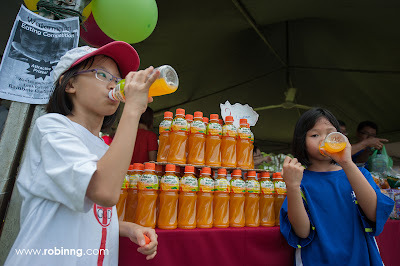 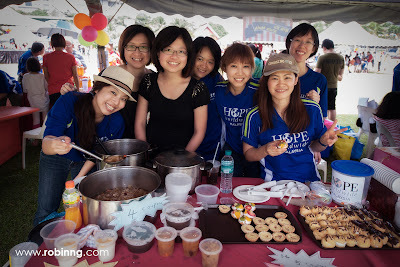 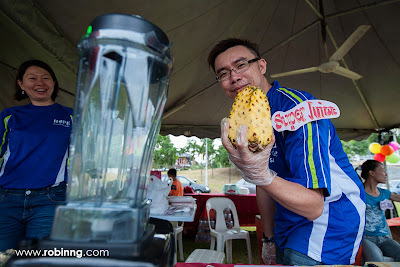 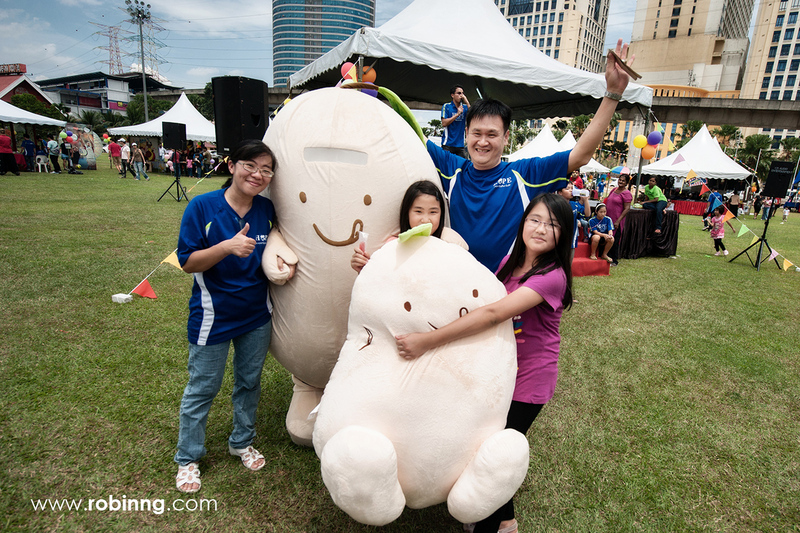 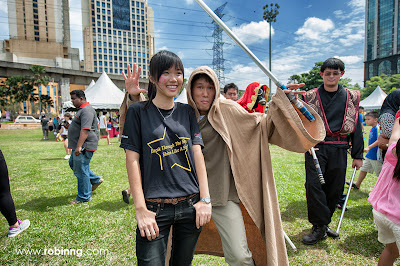 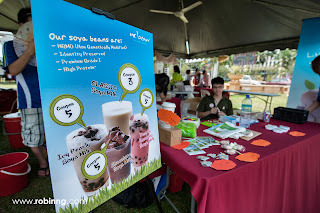 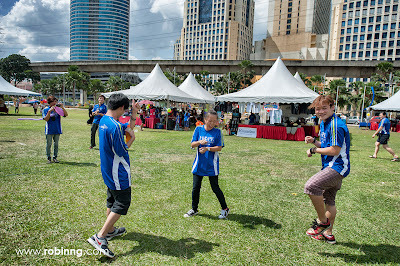 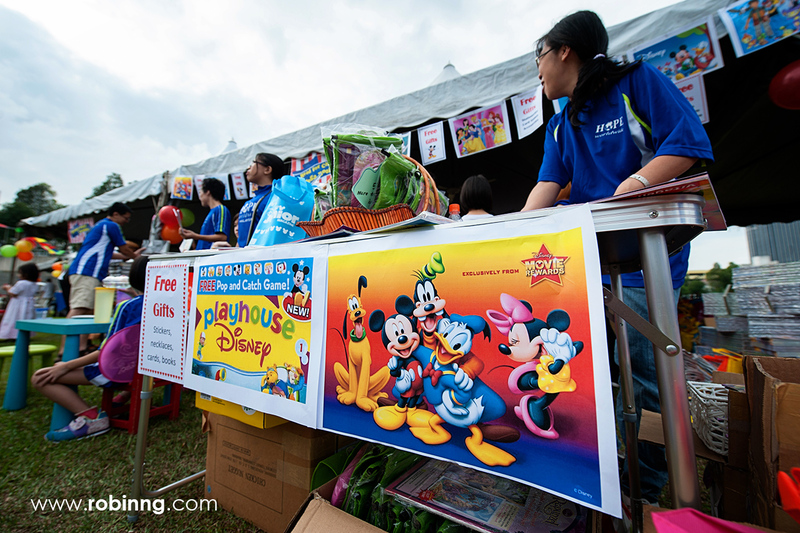 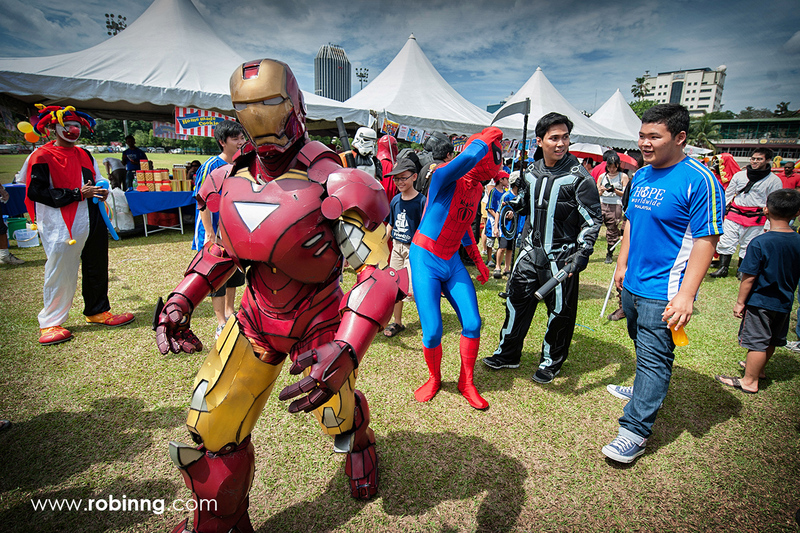 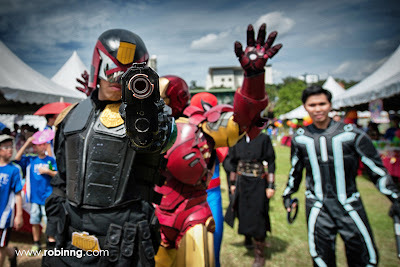 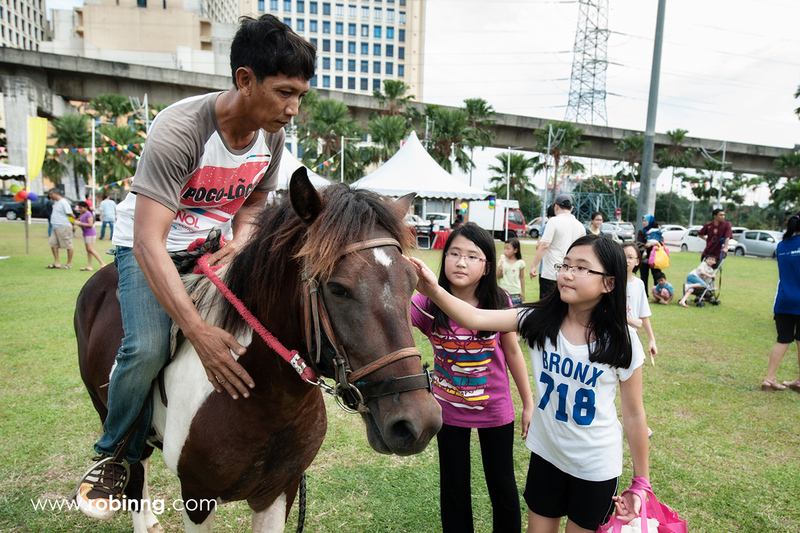 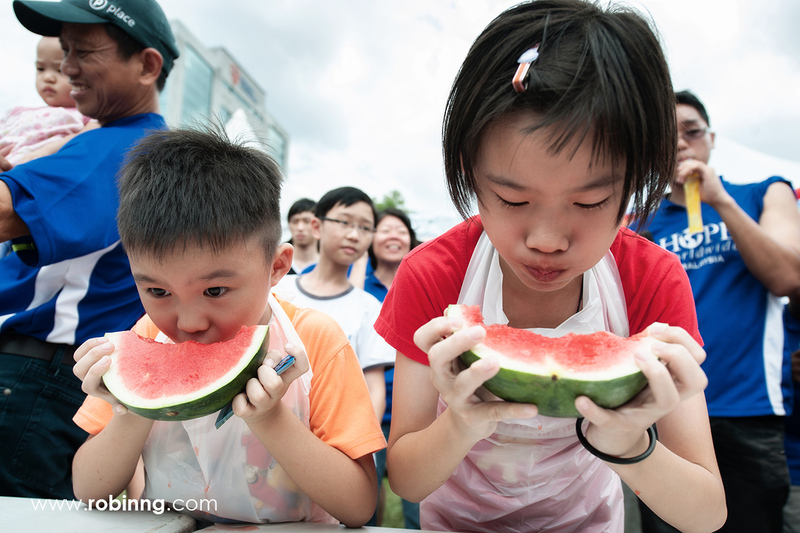 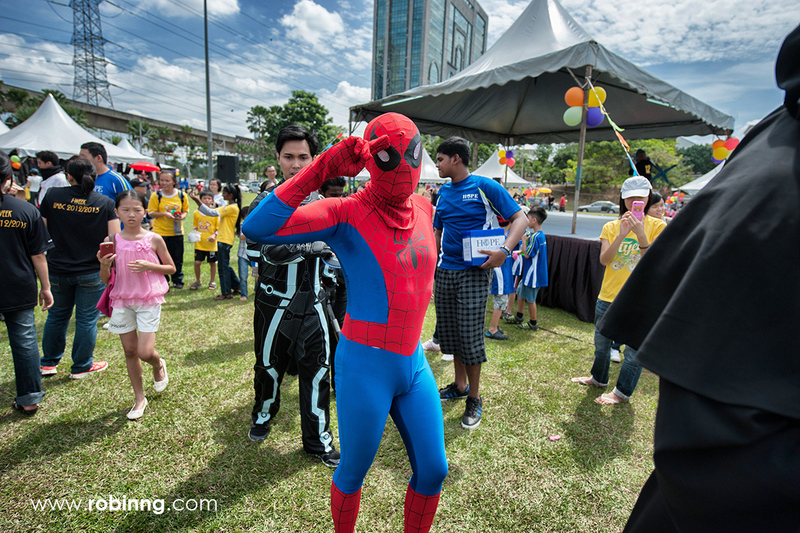 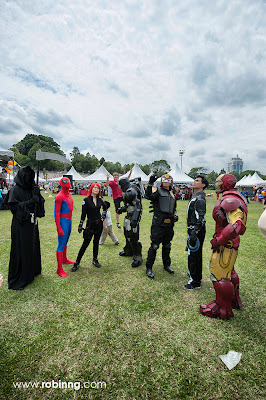 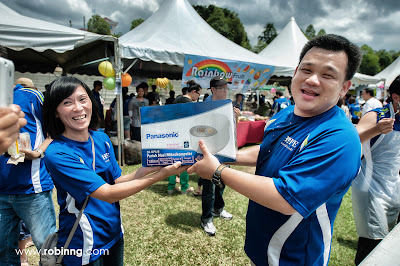 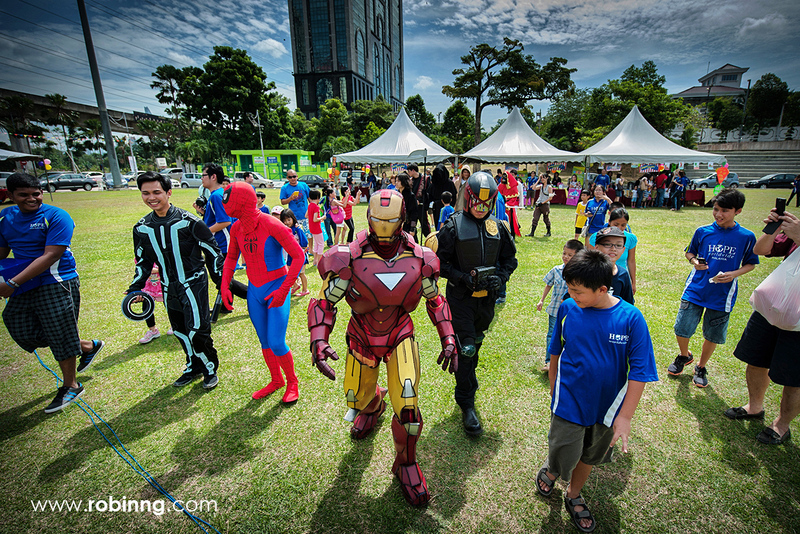 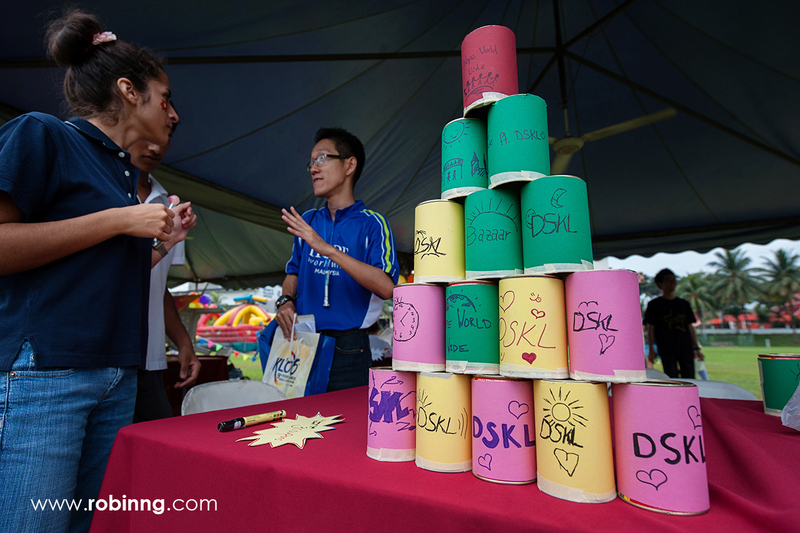 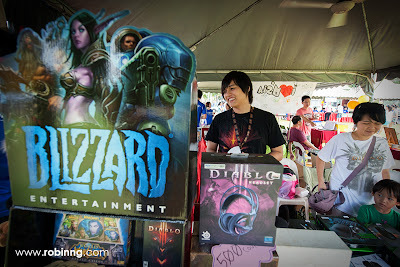 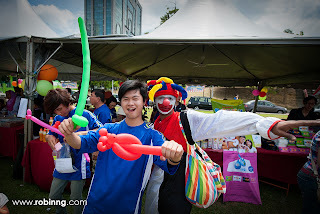 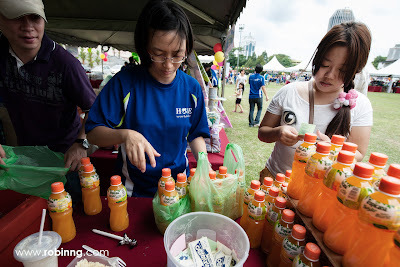 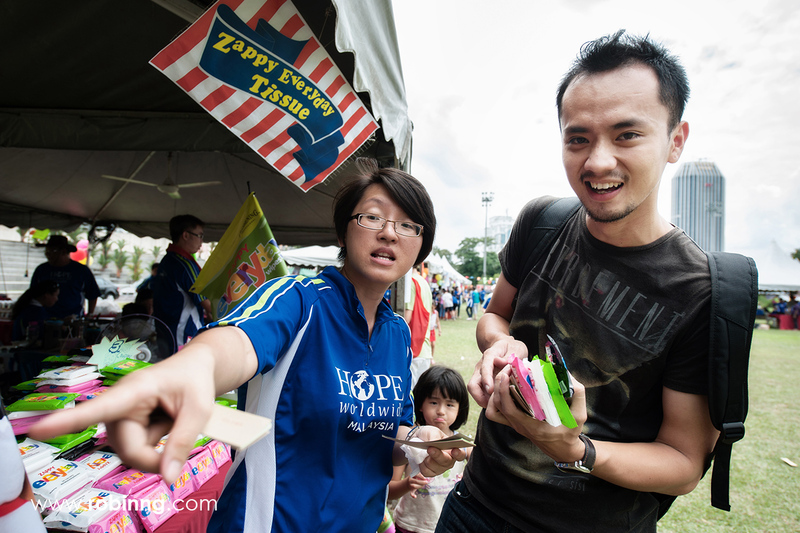 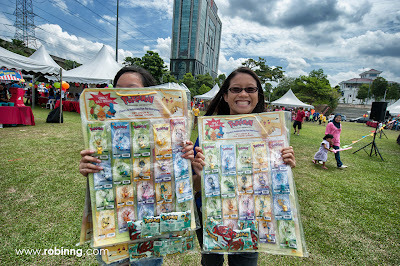 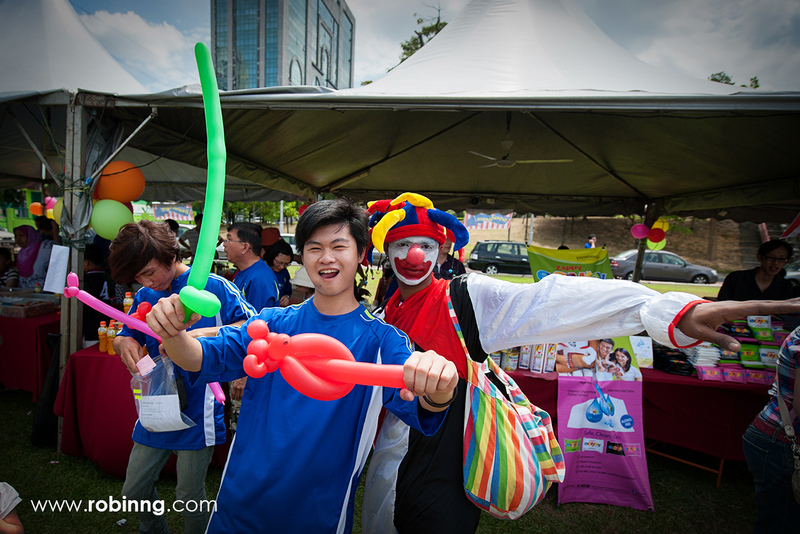 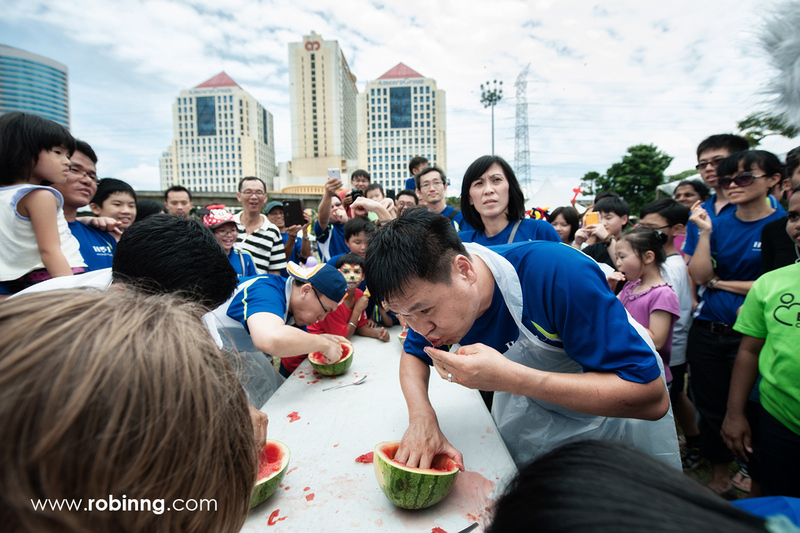 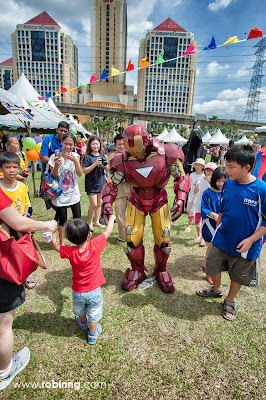 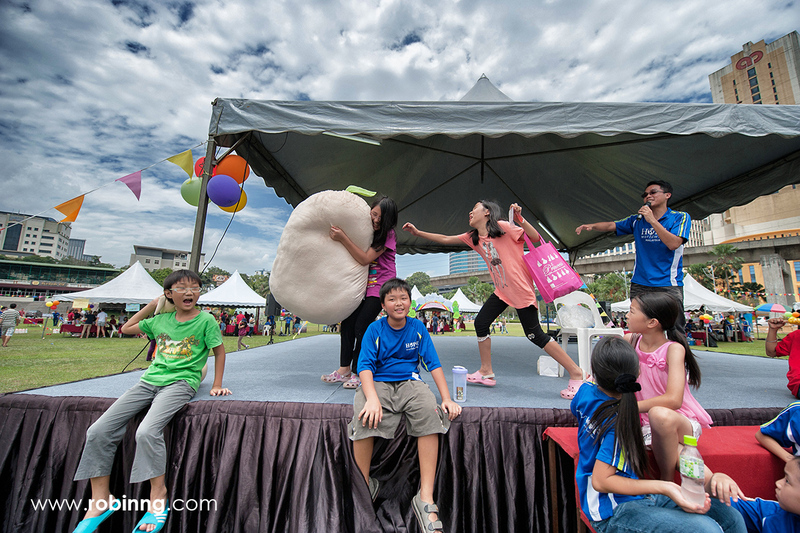 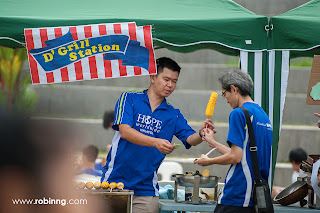 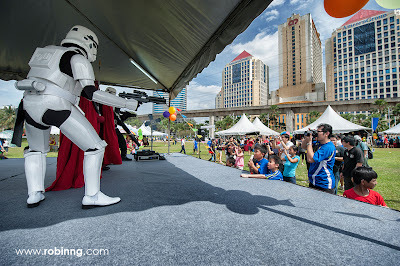 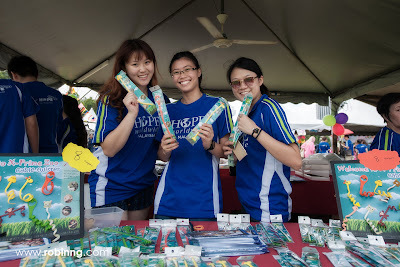 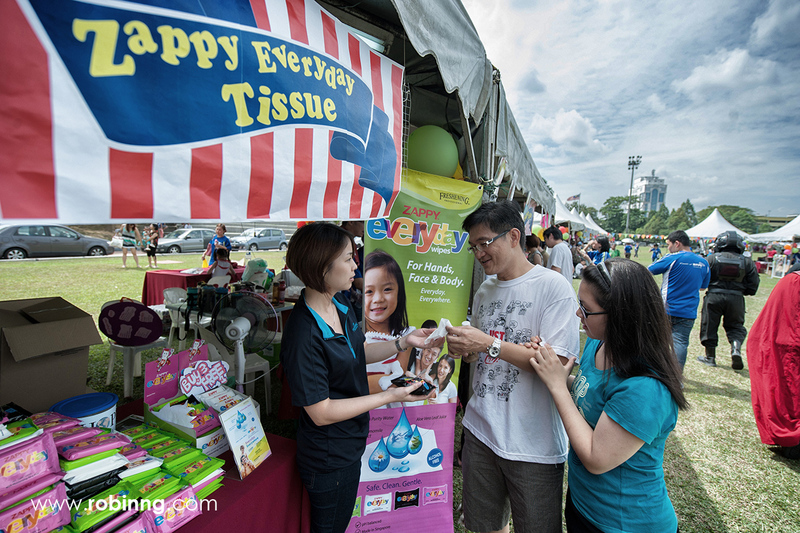 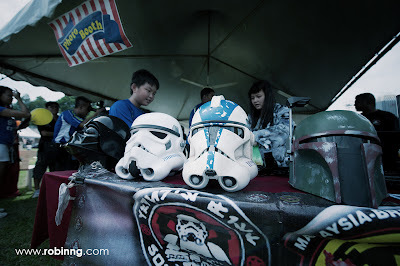 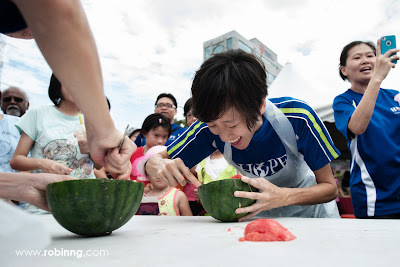 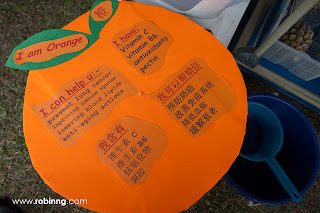 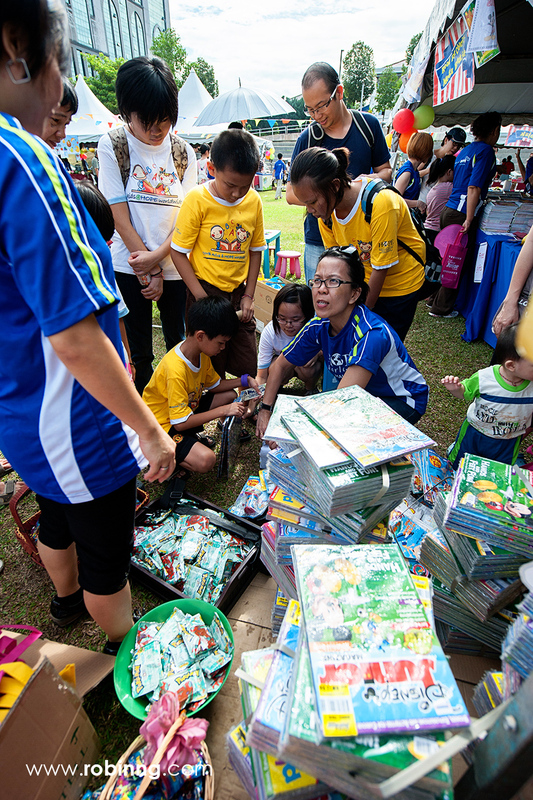 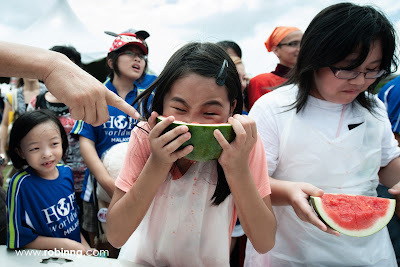 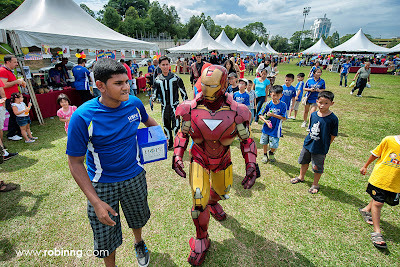 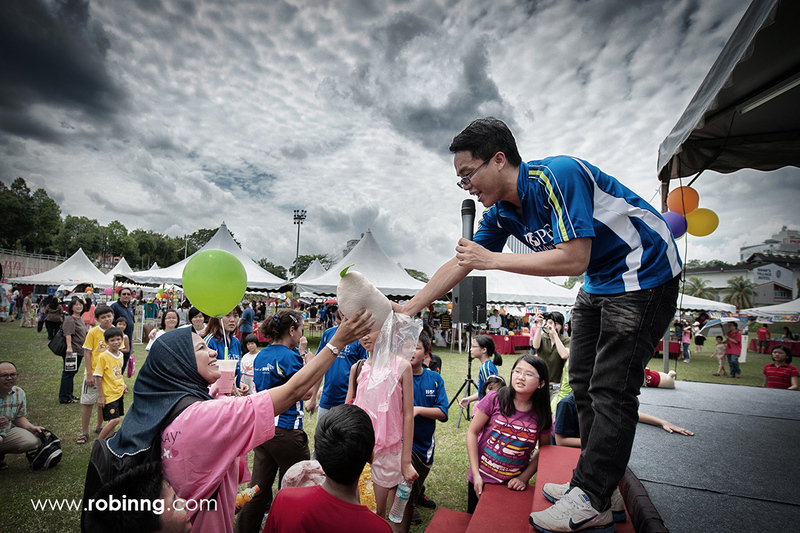 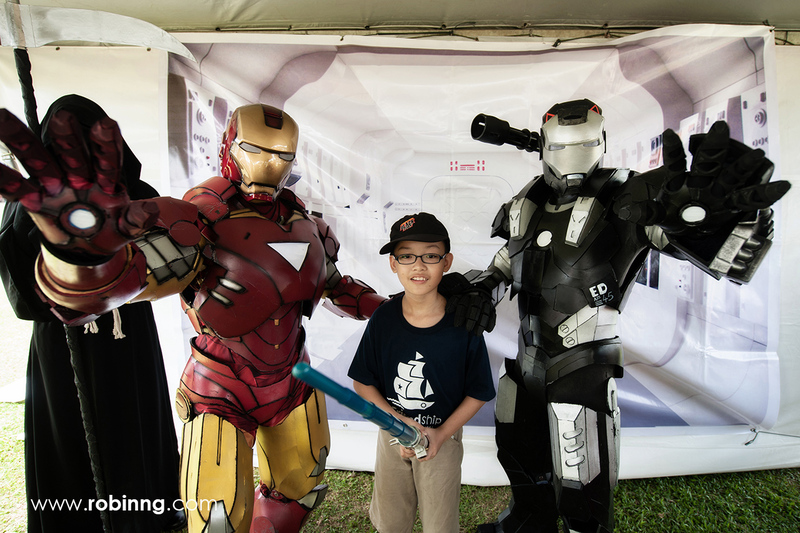 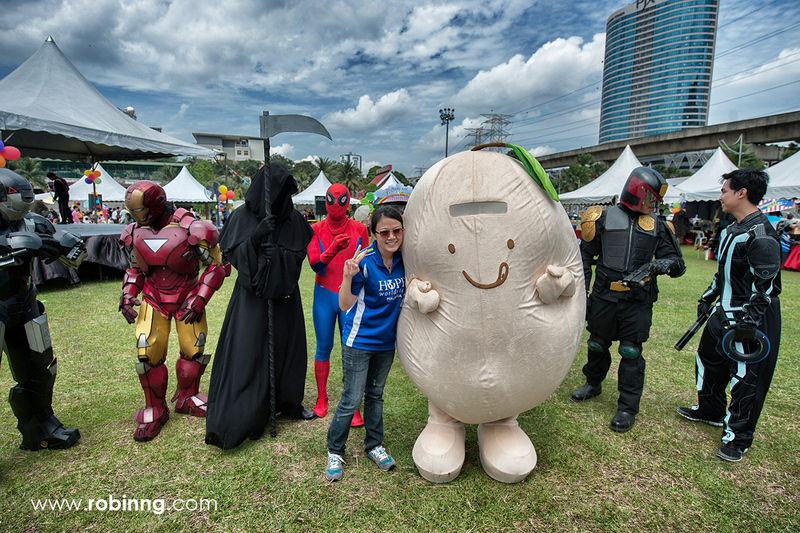 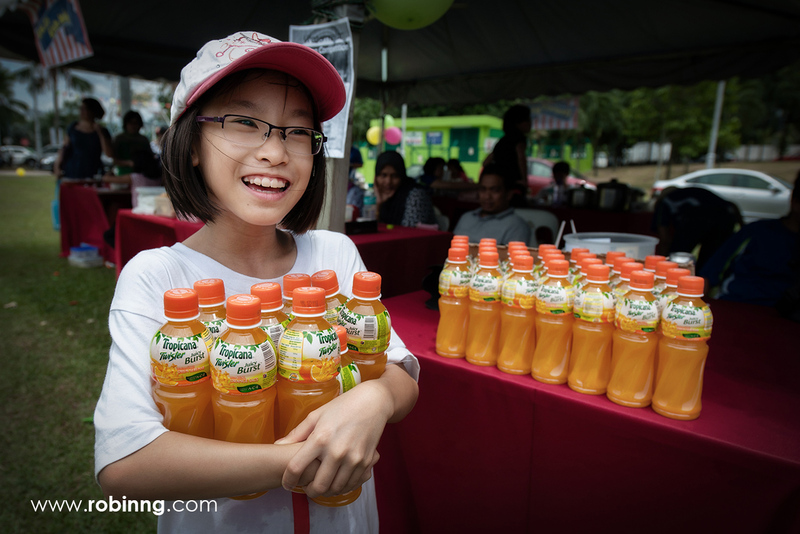 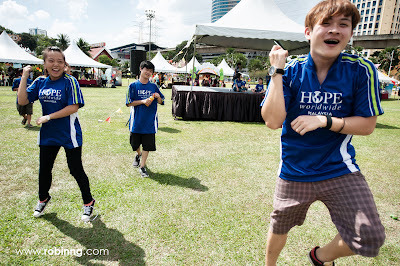 Finally, our mega fundraising event, the 2nd Inaugural Family Carnival Charity Day finished it's mission on 06 October 2012! 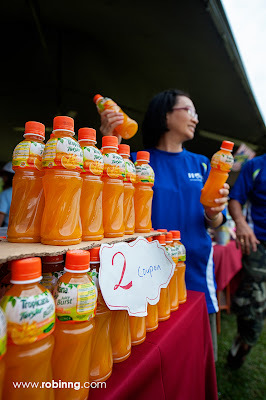 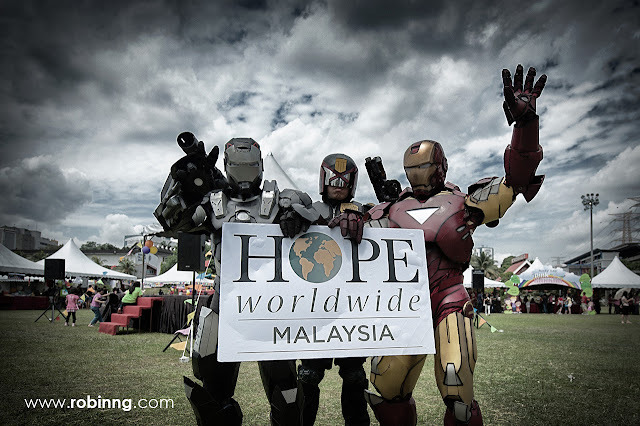 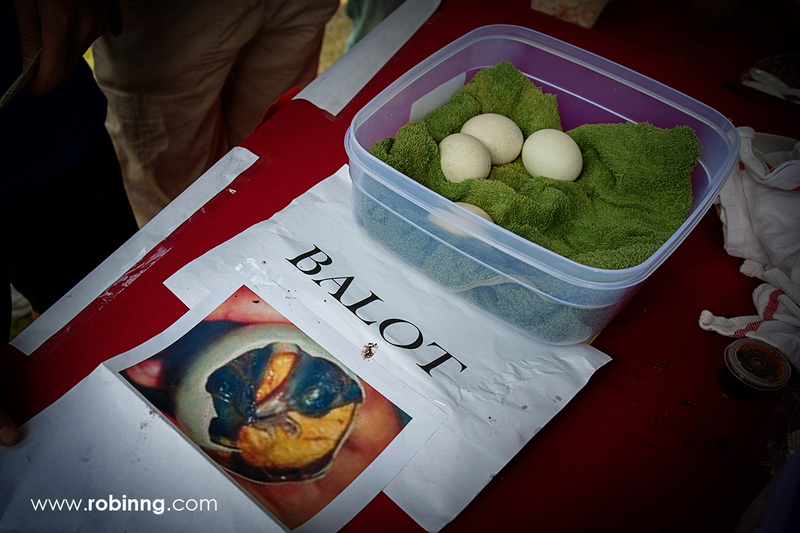 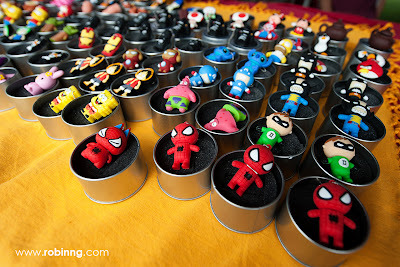 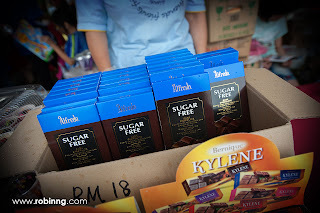 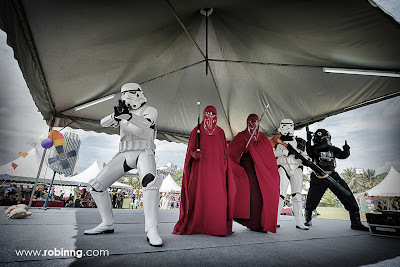 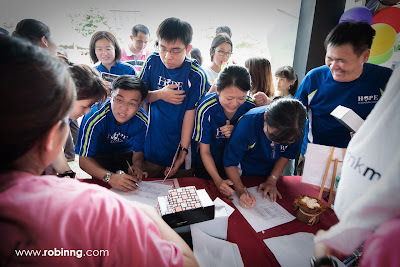 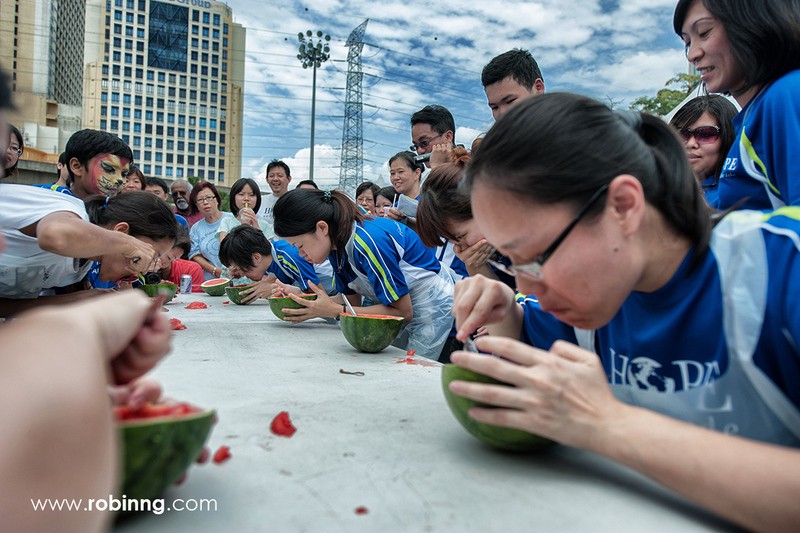 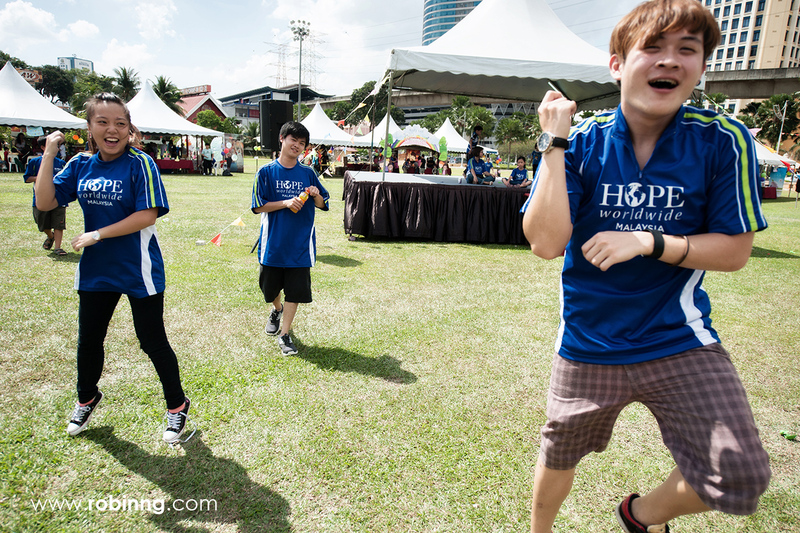 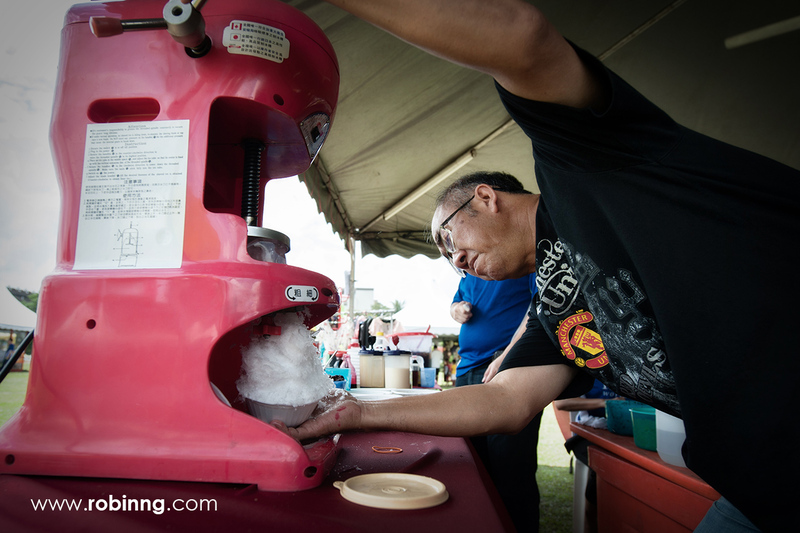 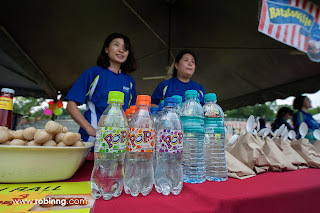 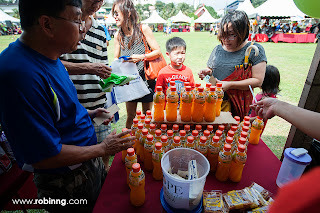 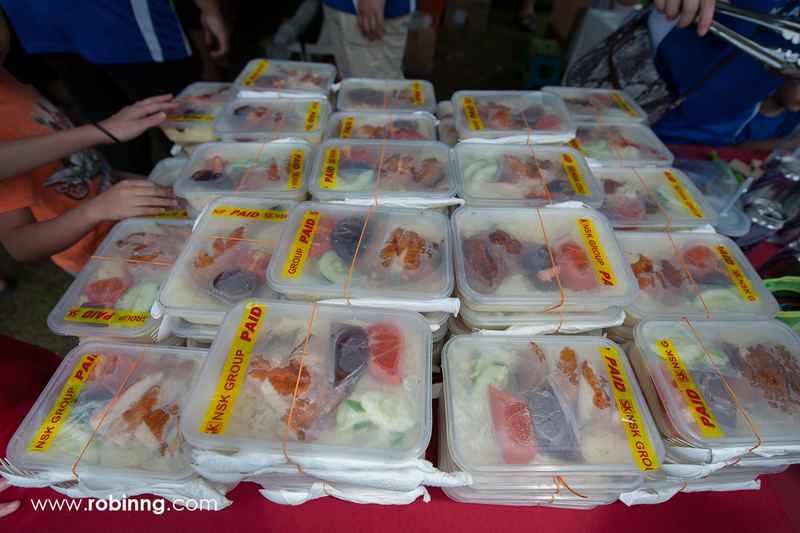 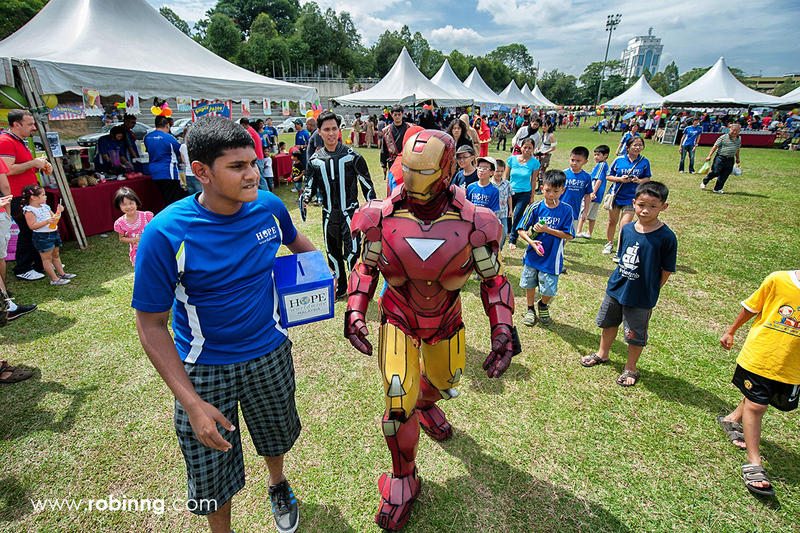 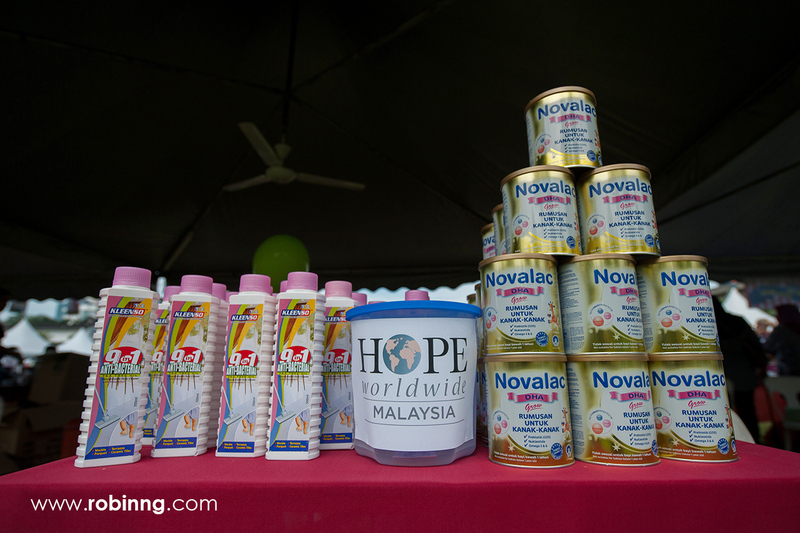 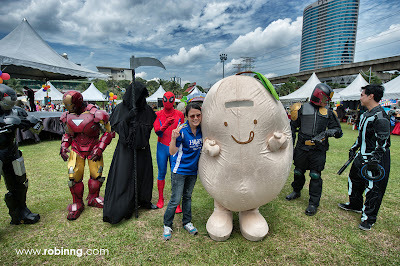 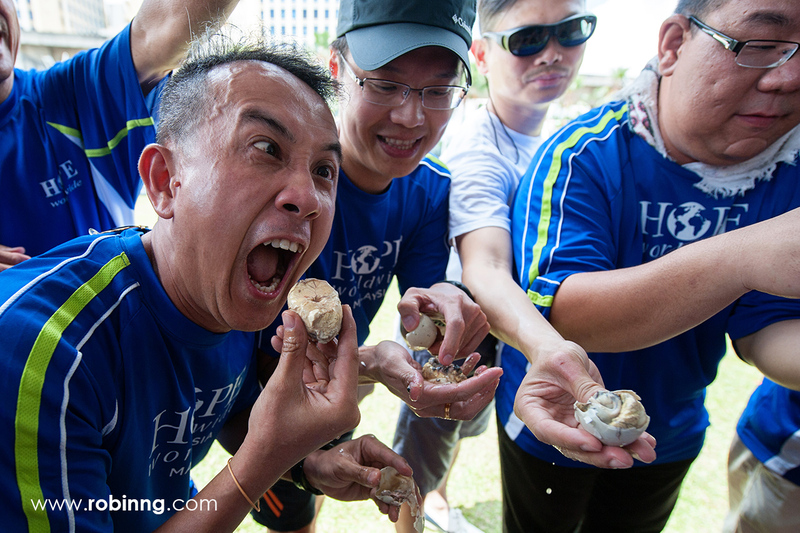 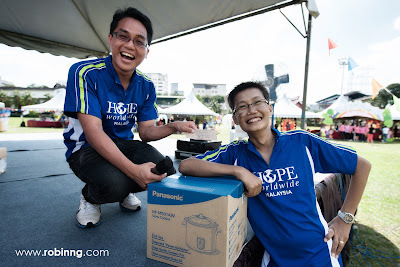 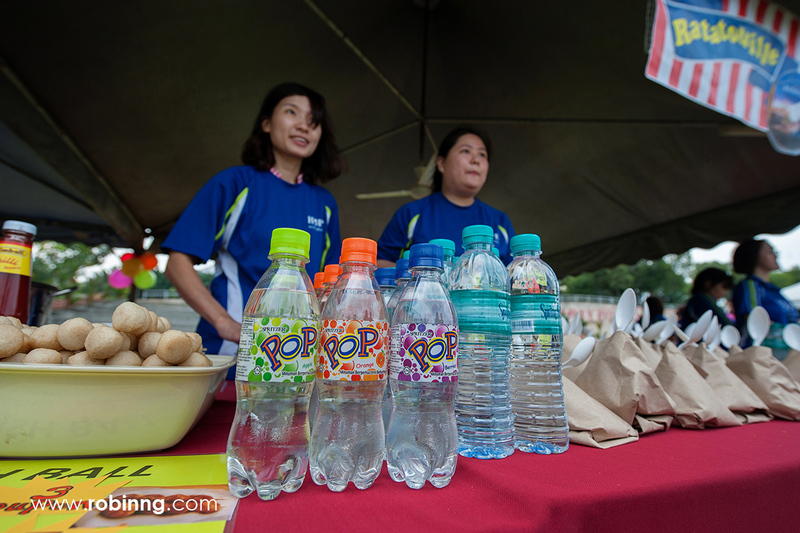 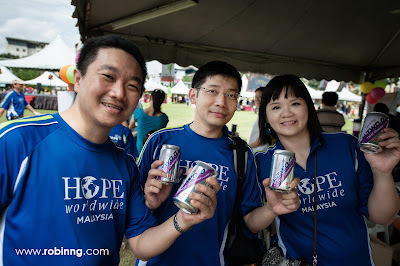 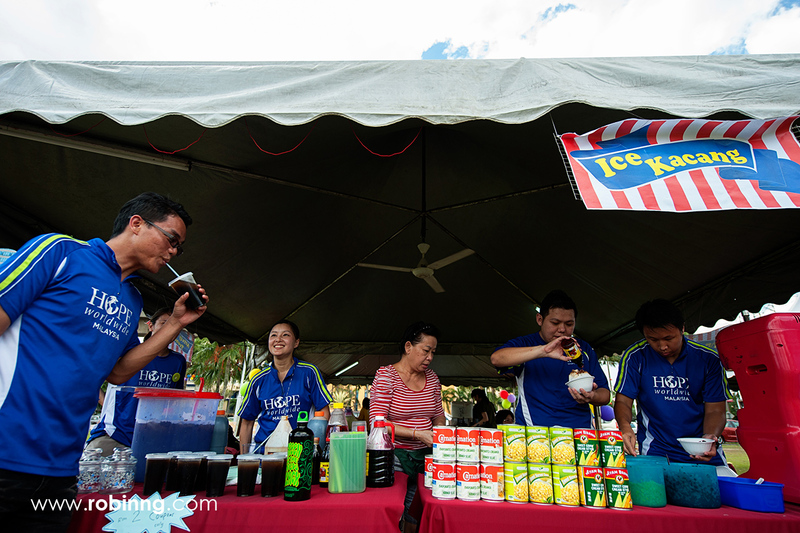 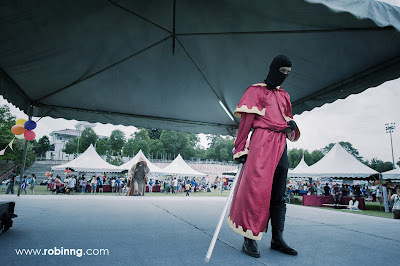 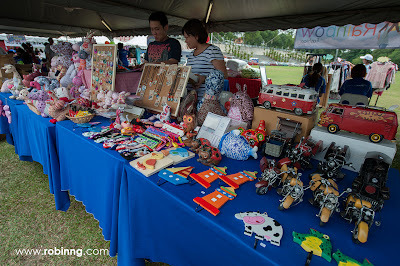 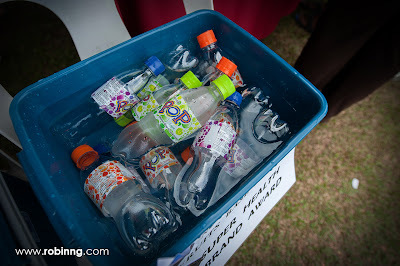 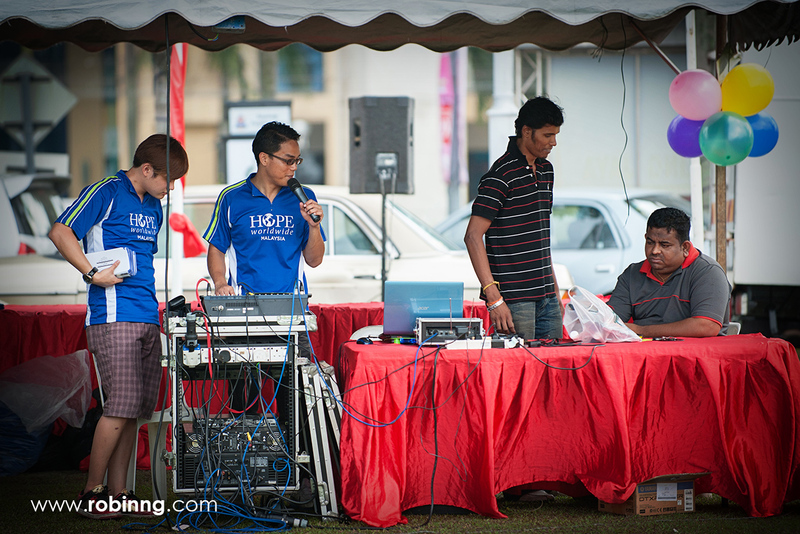 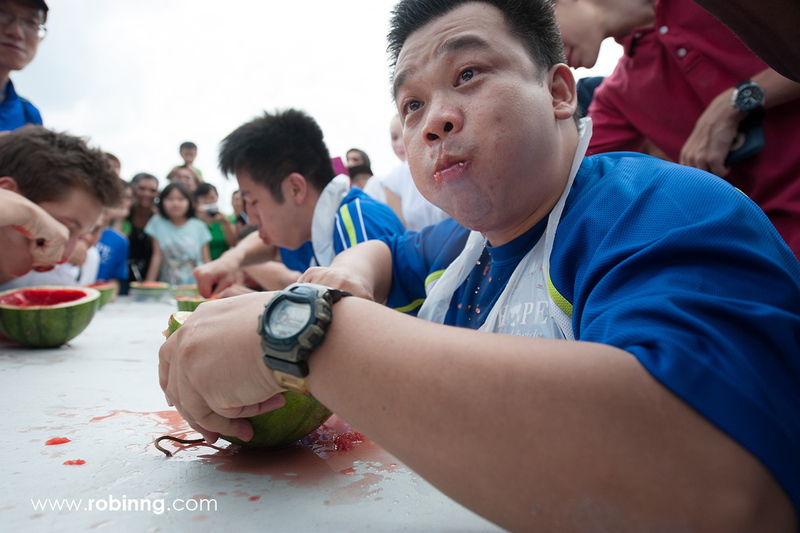 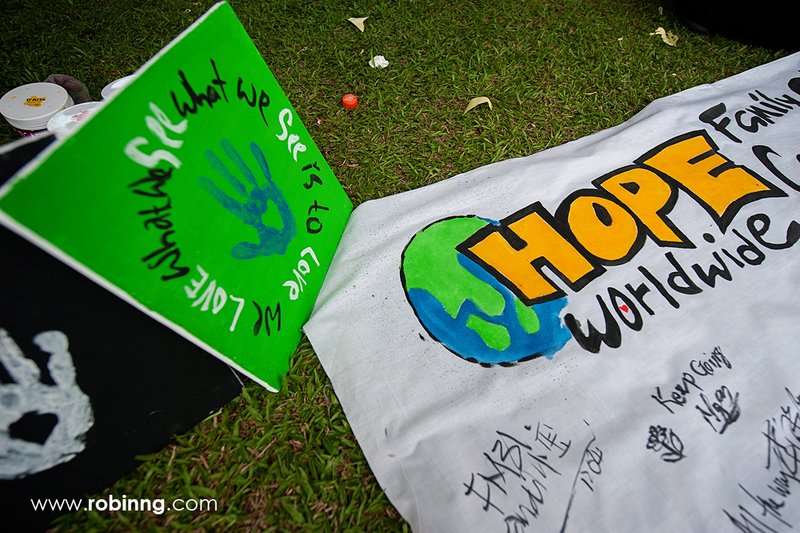 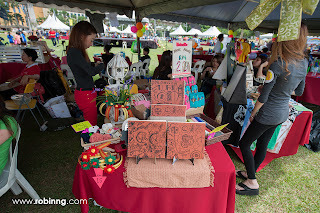 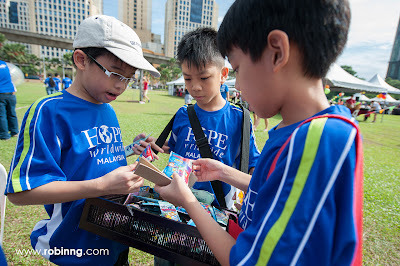 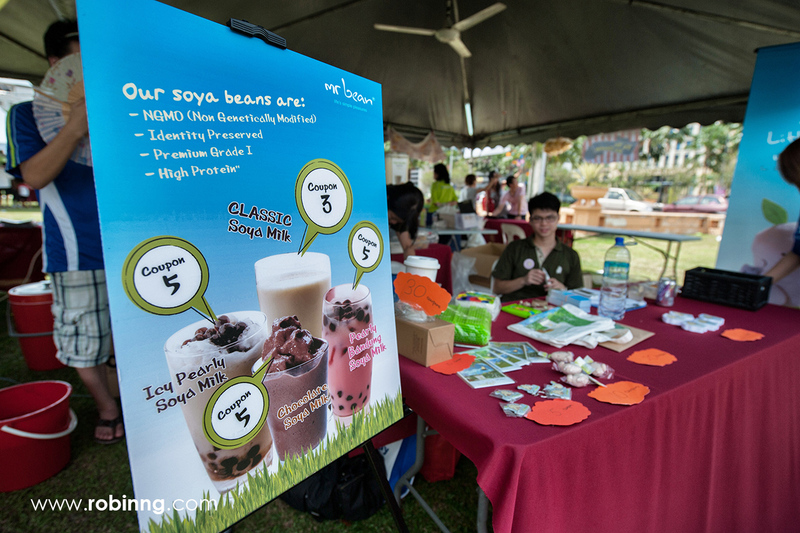 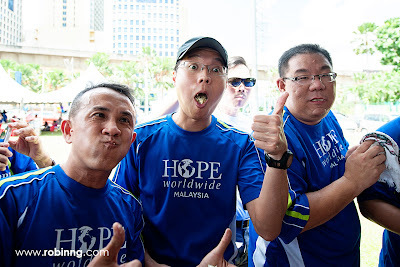 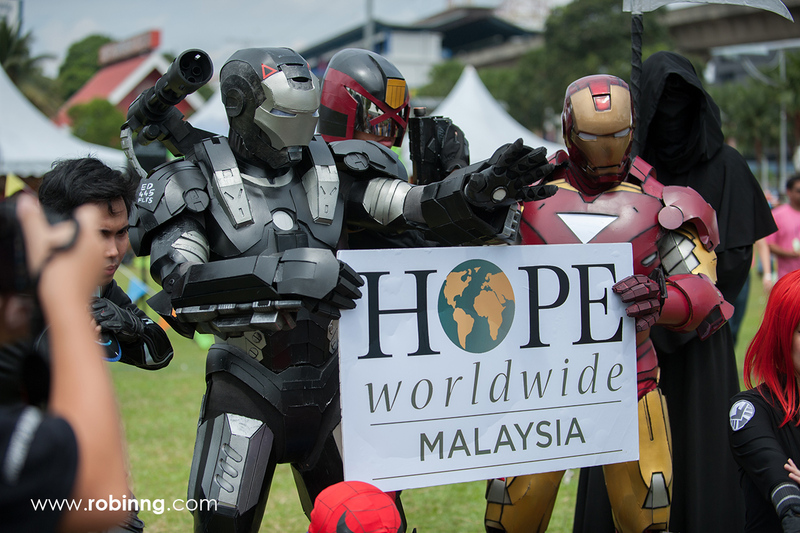 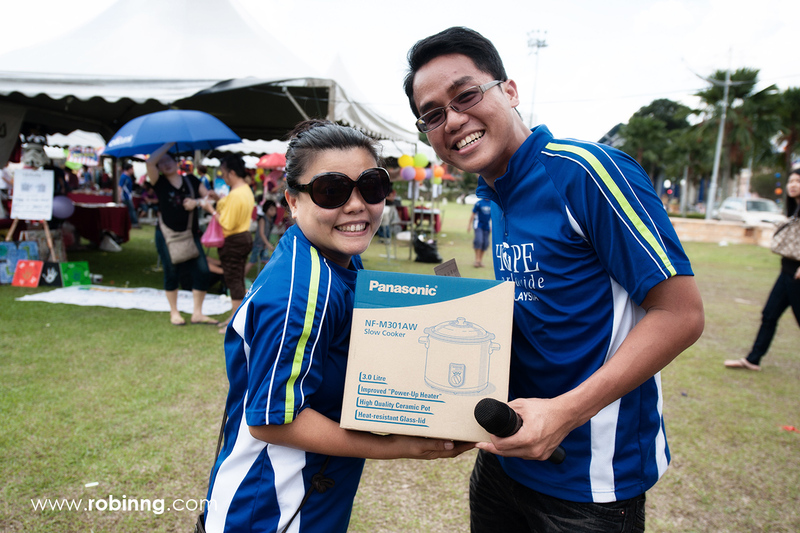 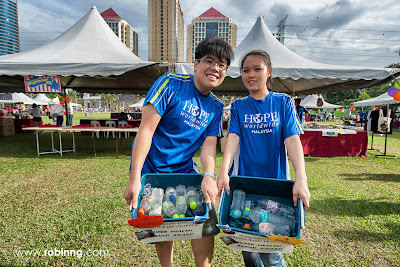 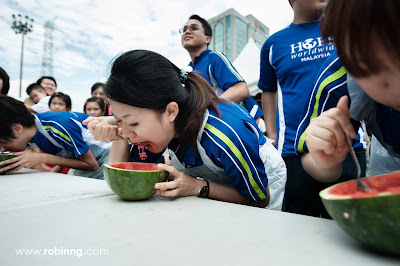 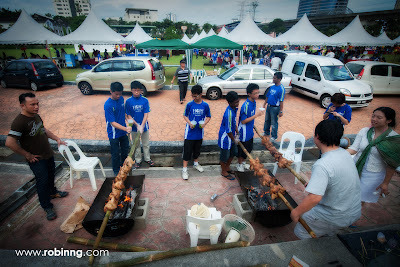 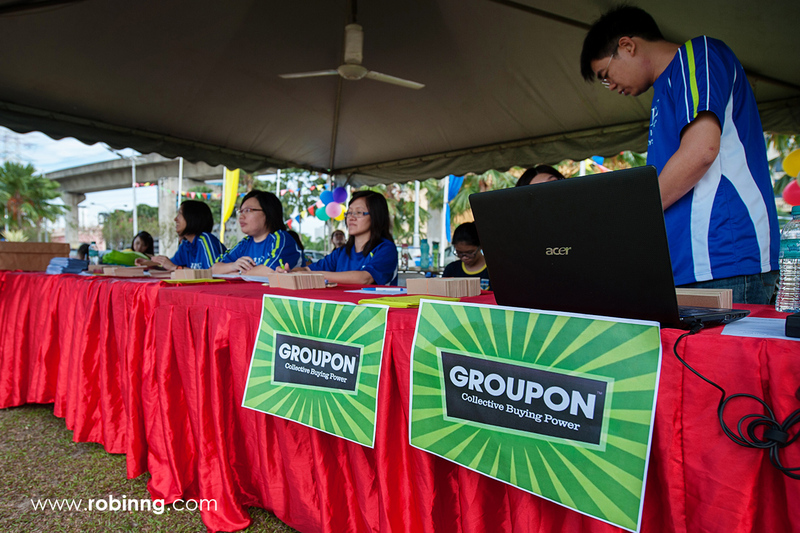 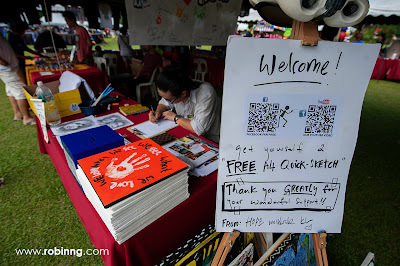 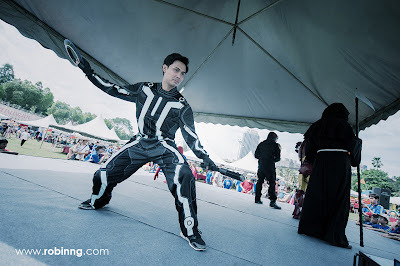 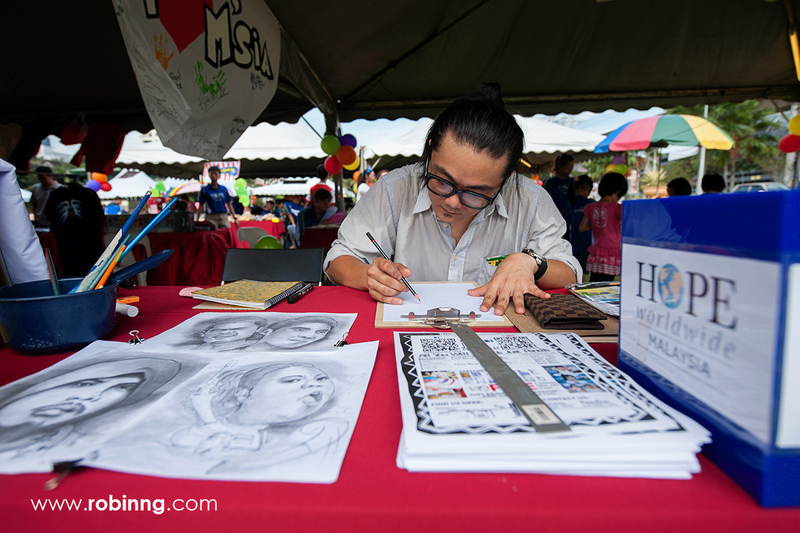 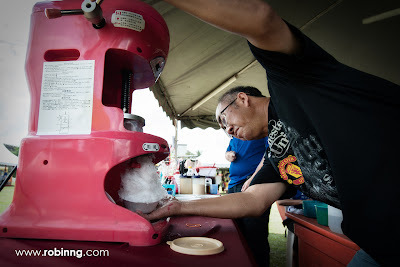 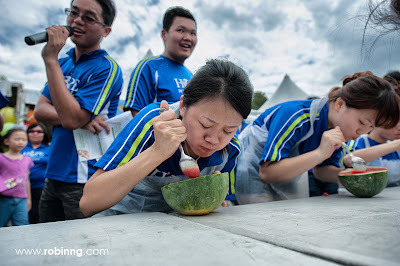 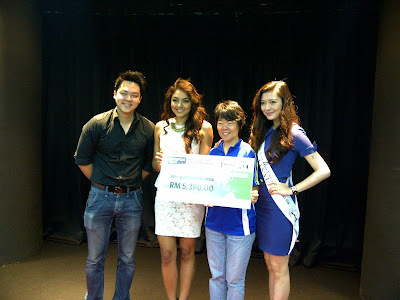 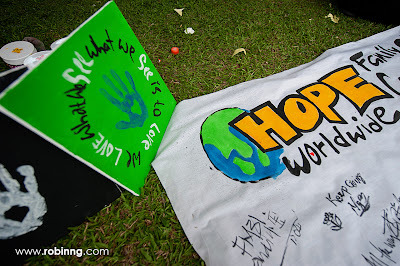 In total, we had raised an estimate figure of RM 92,000.00. 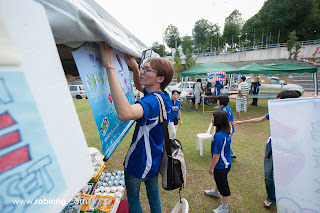 Below are the pictures taken during the event. Special thanks to Robin for the photos! 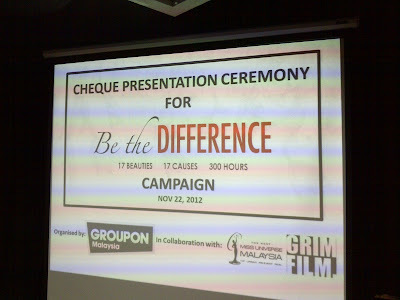 Without your contribution, this event is impossible to happen! 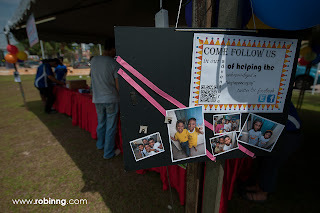 Thanks a million!